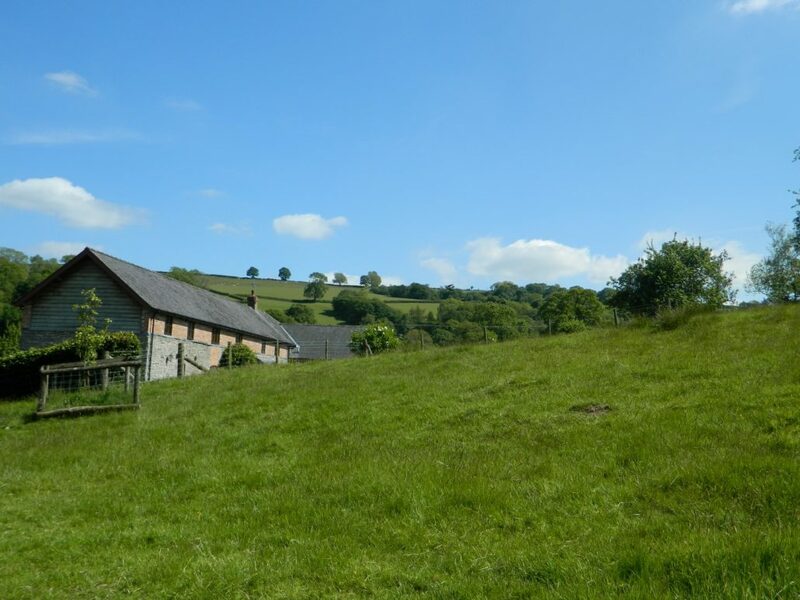 A quiet livestock farm situated where the three counties of Shropshire, Herefordshire and Powys meet. 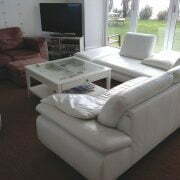 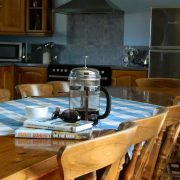 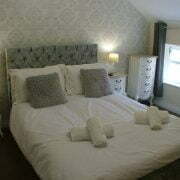 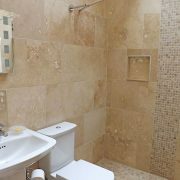 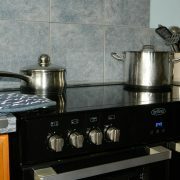 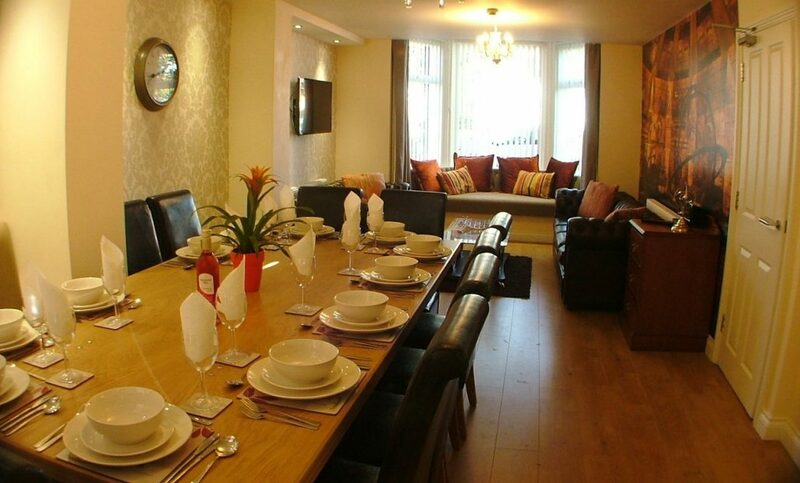 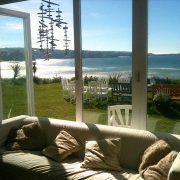 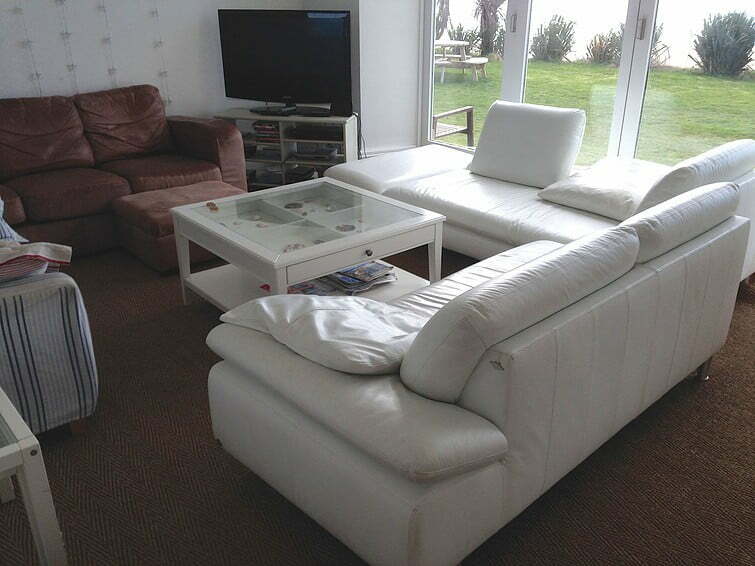 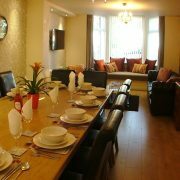 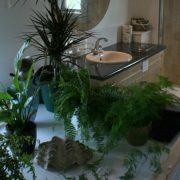 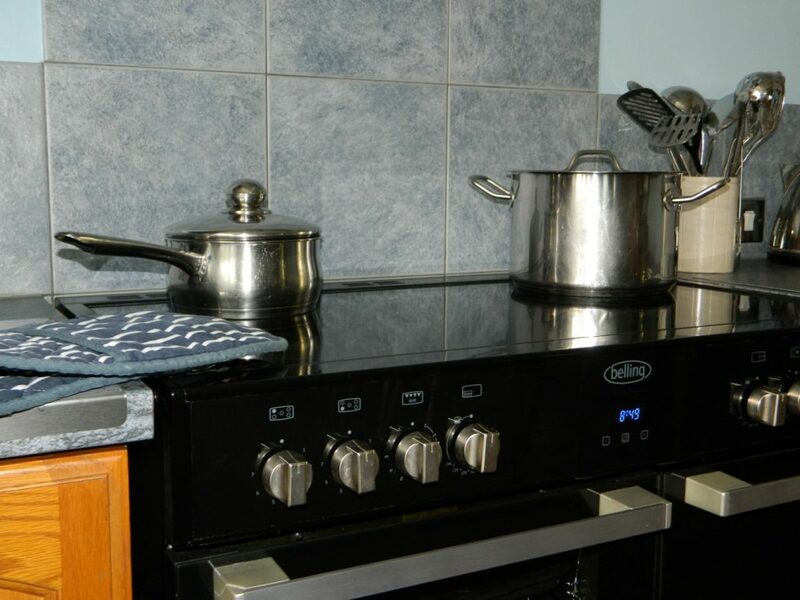 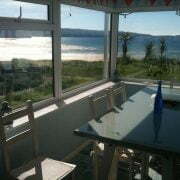 We offer quality self catering accommodation. 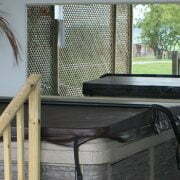 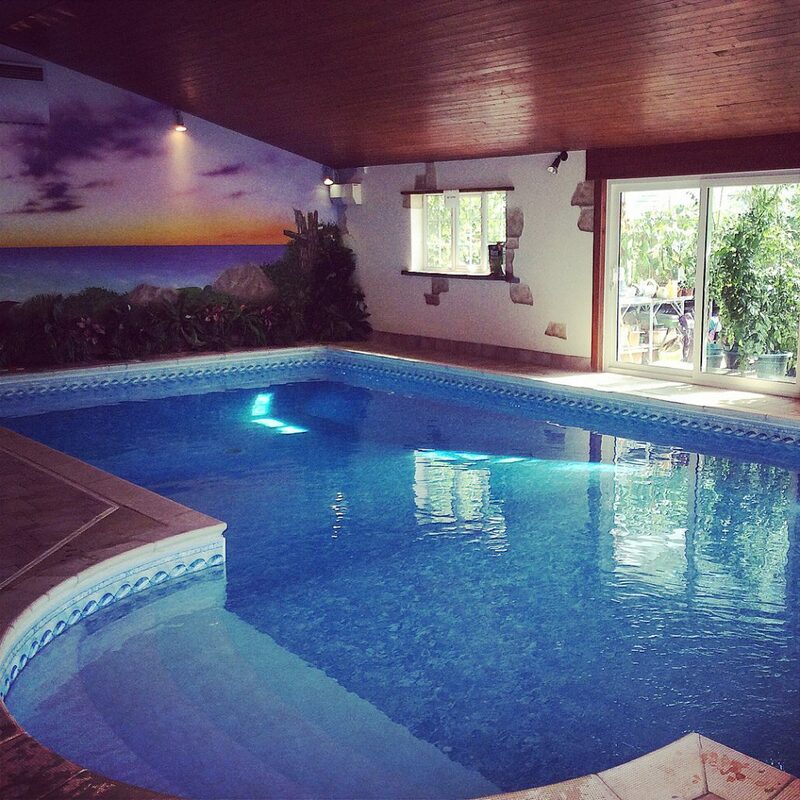 A swimming pool, children’s play area and disabled facilities. 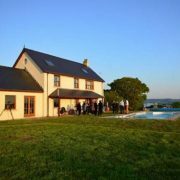 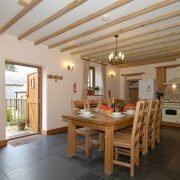 Whether you are looking for a family holiday cottage or a venue for a “big house party” choosing the accommodation can often be a daunting prospect, so we have tried to provide as much detail as we can on our website but please do contact us if there are any questions we have left unanswered! 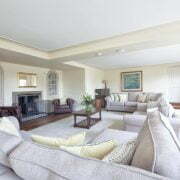 The Beach House is a large colonial-style villa built for a sea captain in 1908. 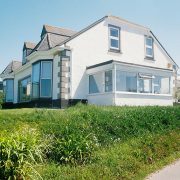 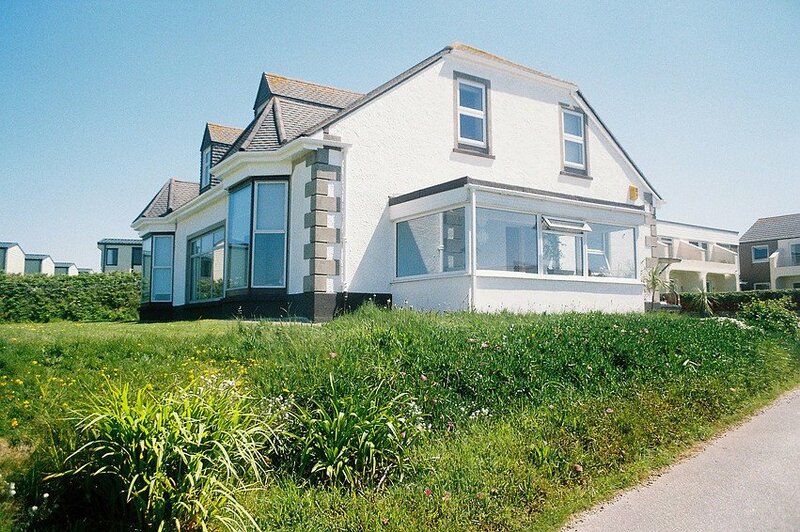 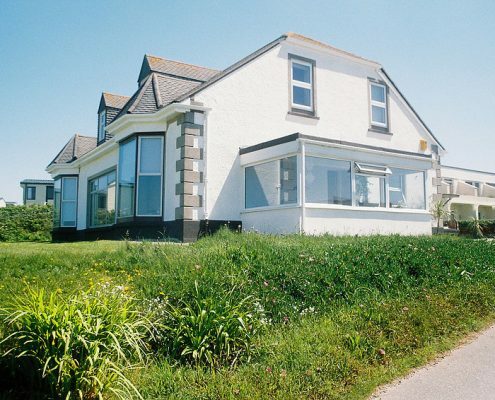 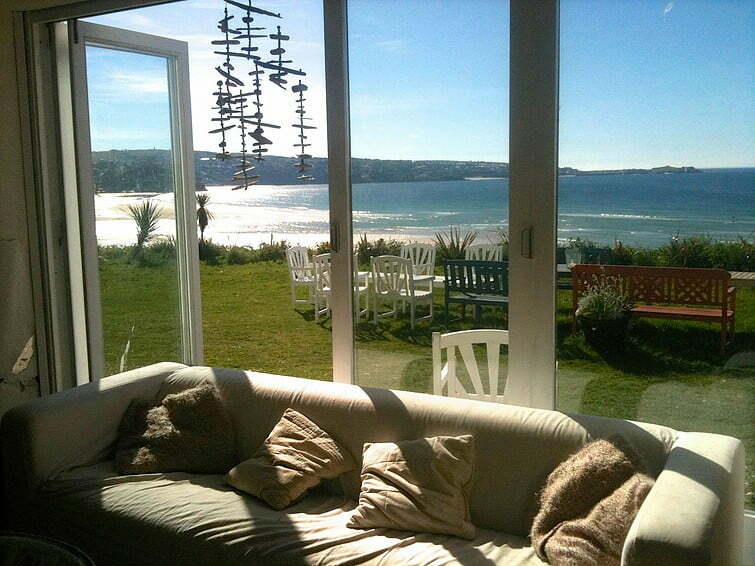 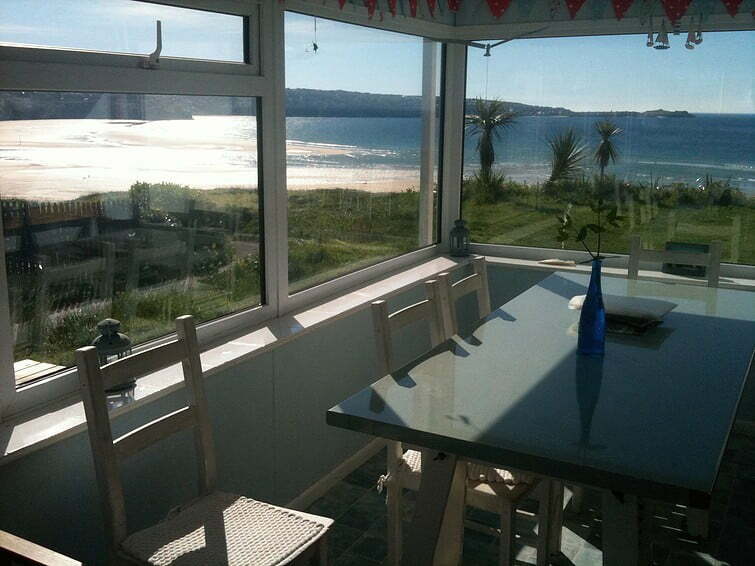 It stands in the finest position with its own private lane and lawns just above the wonderful 3 mile sandy beach of Hayle Towans, and commands wonderful uninterrupted views westerly across St Ives Bay facing the sunset. 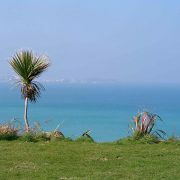 It is adjacent to the coast path and the special flora and fauna of Hayle Towans – the extensive sand dunes which back the beautiful beaches. 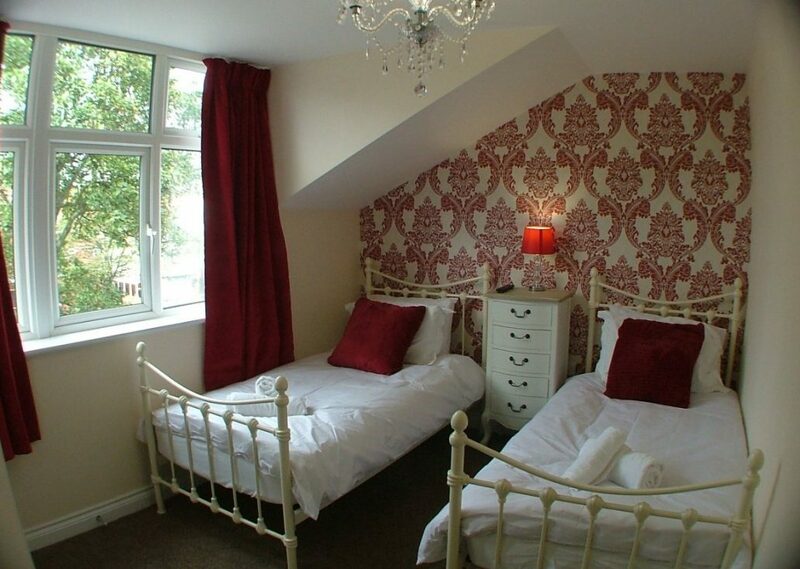 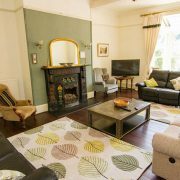 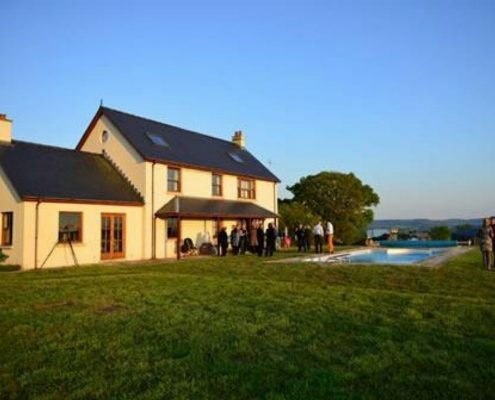 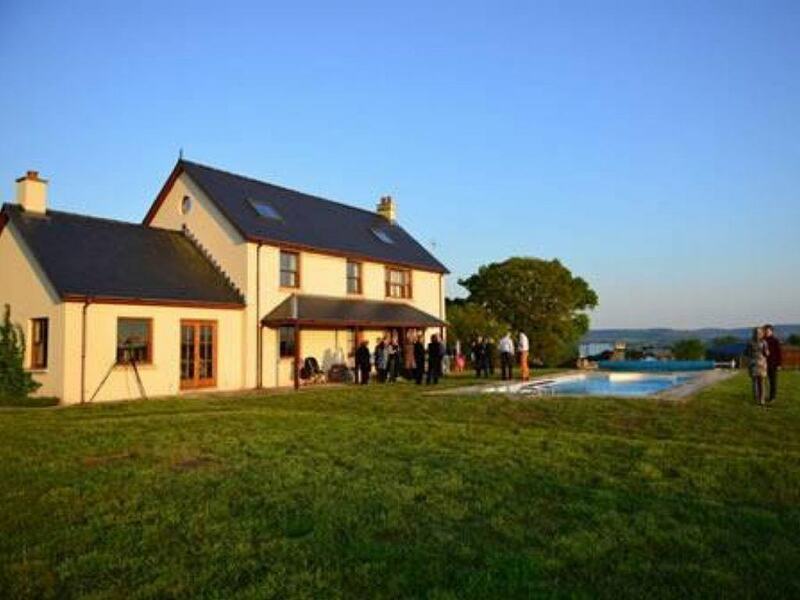 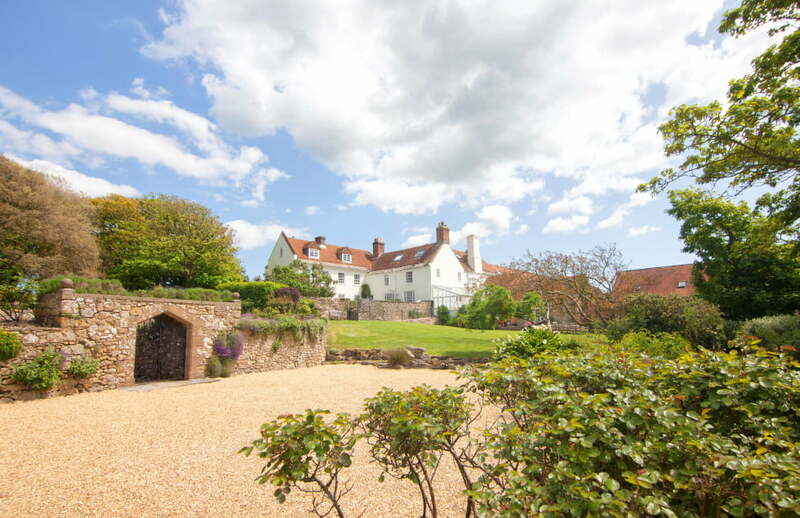 We don’t claim to offer luxury accommodation, but if you’re looking for comfortable seaside accommodation for parties of up to 20 with lots of space in a lovely old house, we can help! 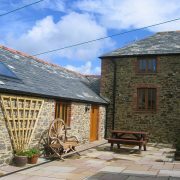 We are open all year, with short weekend or mid-week breaks available between October and May. 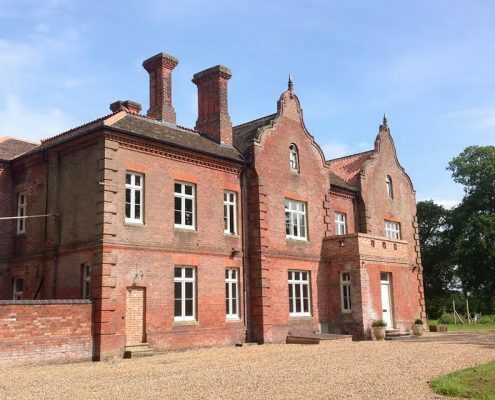 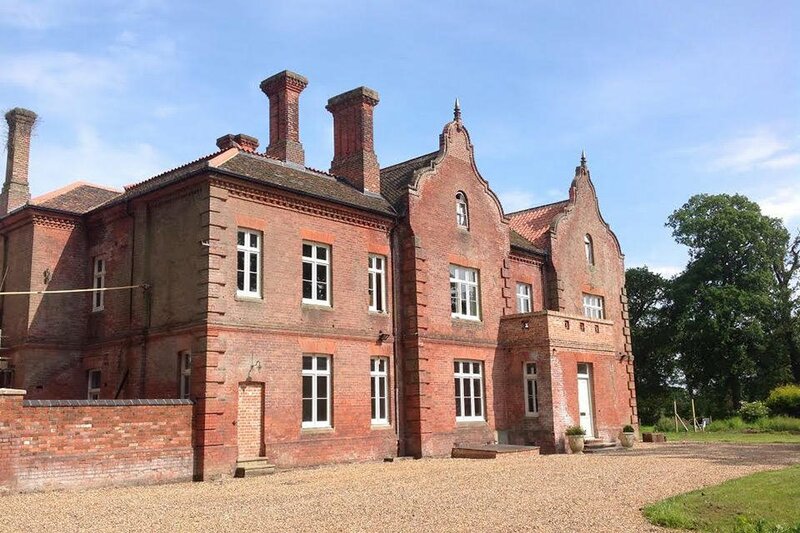 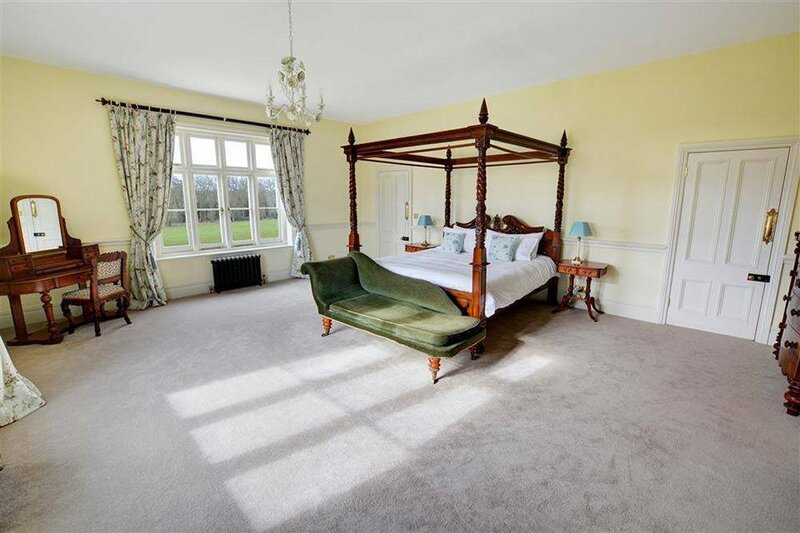 Bessingham Manor is a beautiful 7-bedroom Victorian Manor set in North Norfolk that is available for holidays and celebrations. 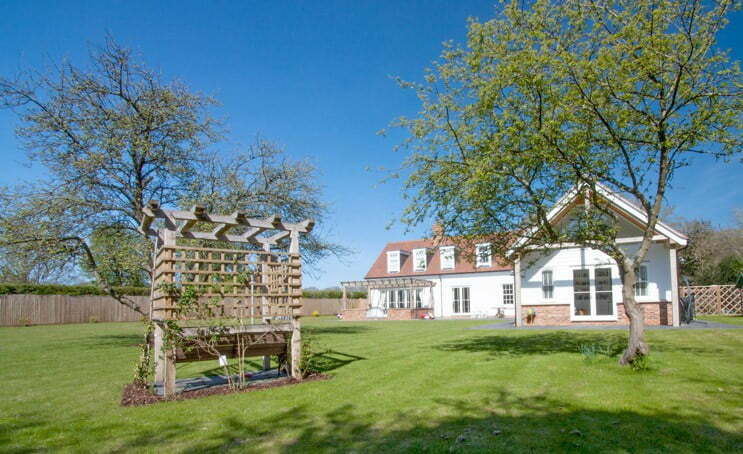 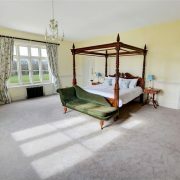 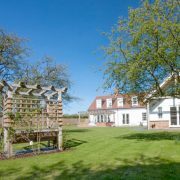 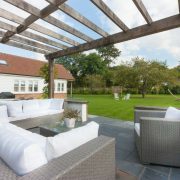 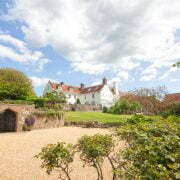 Set in 4.5 acres of beautiful Norfolk countryside, Bessingham Manor sleeps 17, making it ideal for large family holidays. 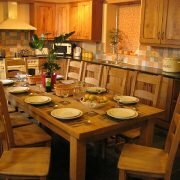 Special celebration this year? 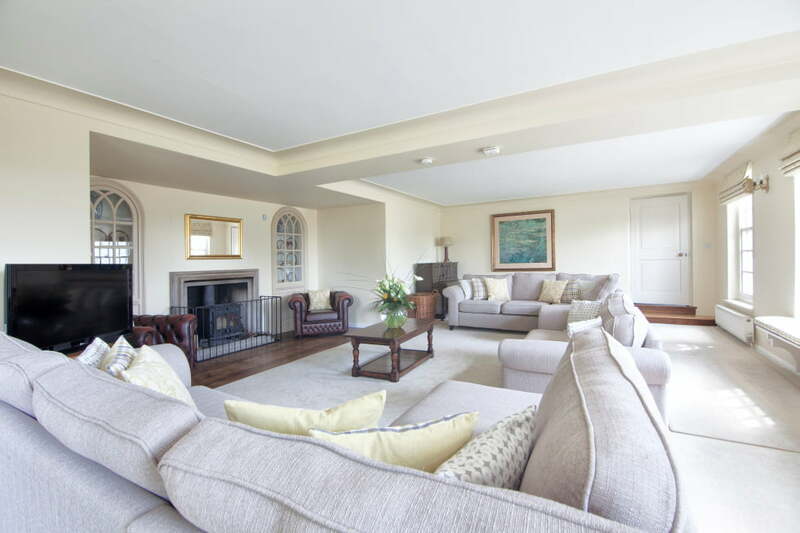 Do it in style with Bessingham as your backdrop and entertain in your very own Manor house. 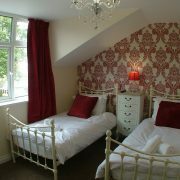 It is not a hotel or a B&B. 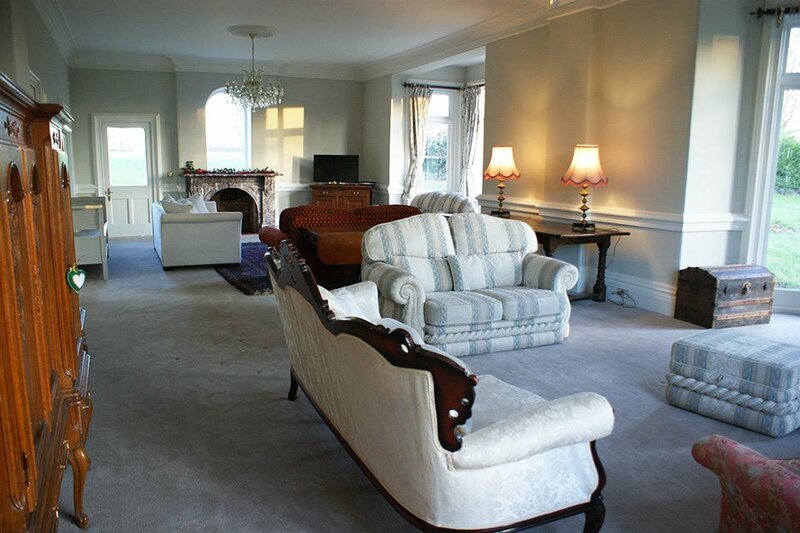 The whole house is exclusively yours for the length of your stay. 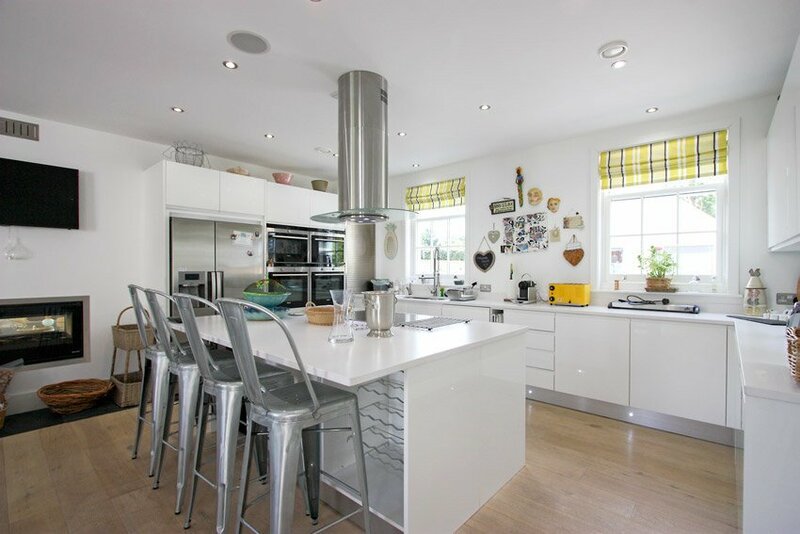 In the charming hamlet of Satwell, a bright, newly built house just minutes from Henley-on-Thames makes an ideal holiday home for large groups looking for airy outdoor relaxation and tons of comfort. 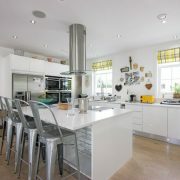 A sprawling, modern kitchen that opens into a spacious dining room begs to be the setting for dinners among friends or family, and a generous enclosed garden sets the scene perfectly for pouring another glass of sauvignon blanc – or for chasing little ones around until the fireflies alight. 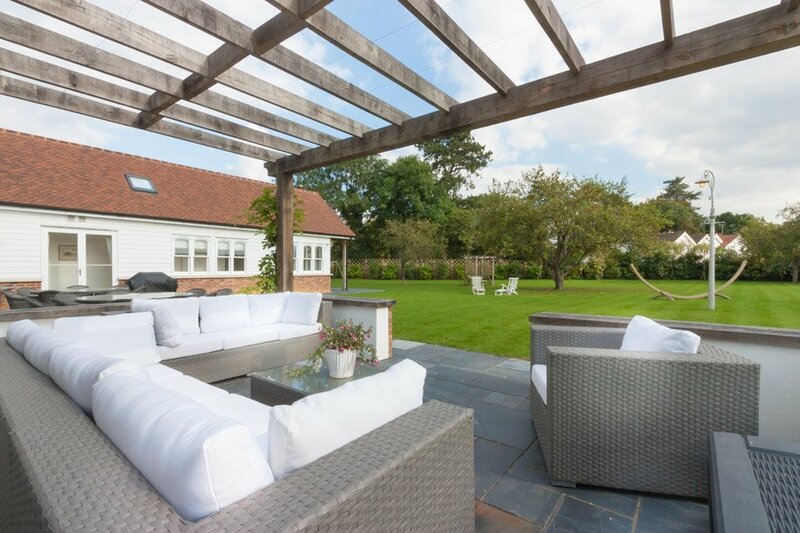 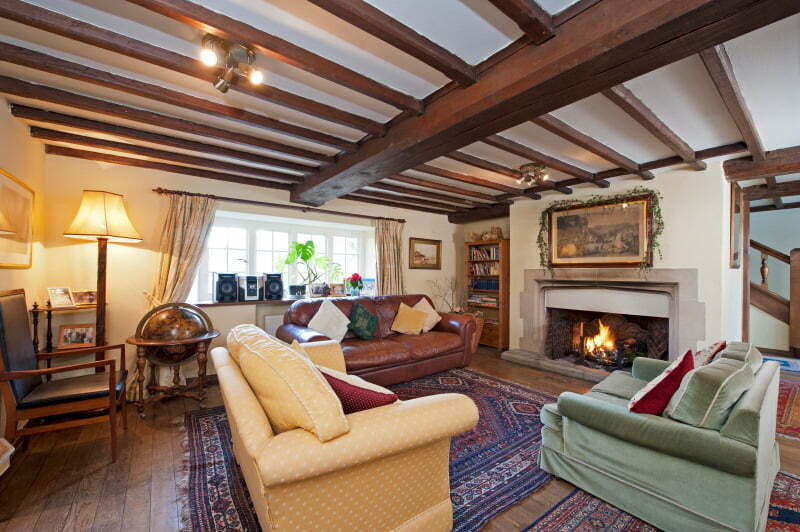 This Spacious Grade 11 Georgian House positioned in a village setting within an area of outstanding natural beauty. 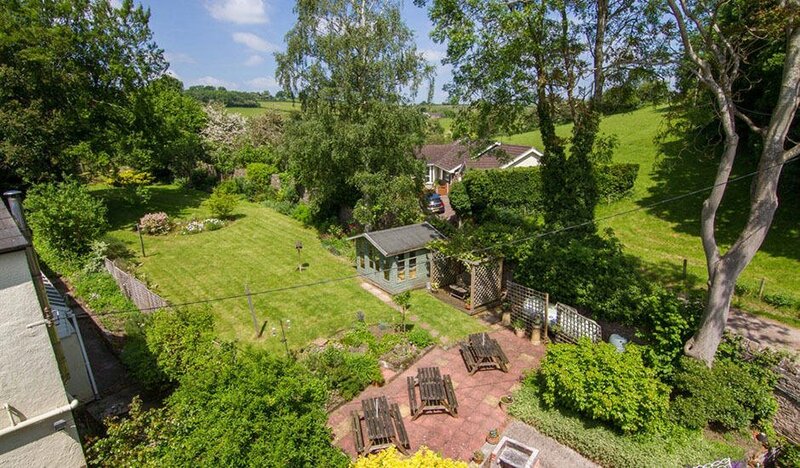 On the cusp of three beautiful counties (Herefordshire, Monmouthshire and Gloucestershire) and just opposite Symonds Yat at the edge of the Forest of Dean. 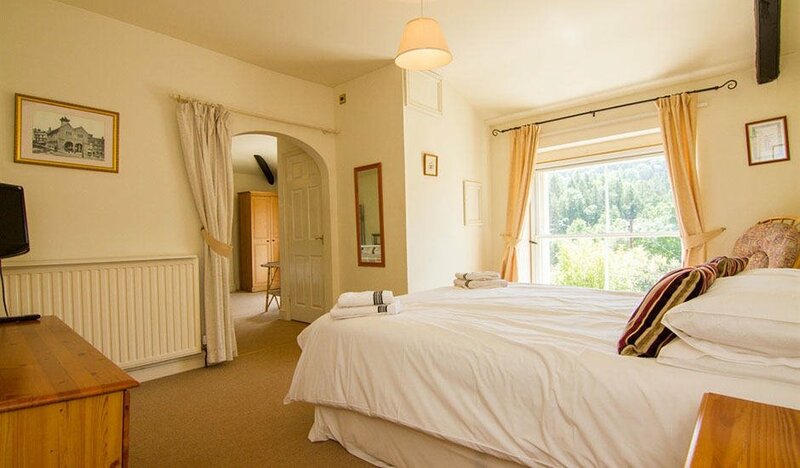 Rural views from most bedrooms. 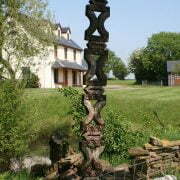 On local bus route into Ross on Wye and Monmouth. 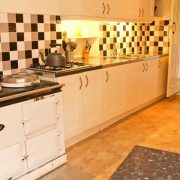 Famous local shop just across the road, Woods of Whitchurch, licensed, with delicatessen, bakery, post office and serves great coffee. 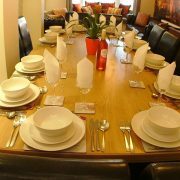 Sleeps up to 20 guests. 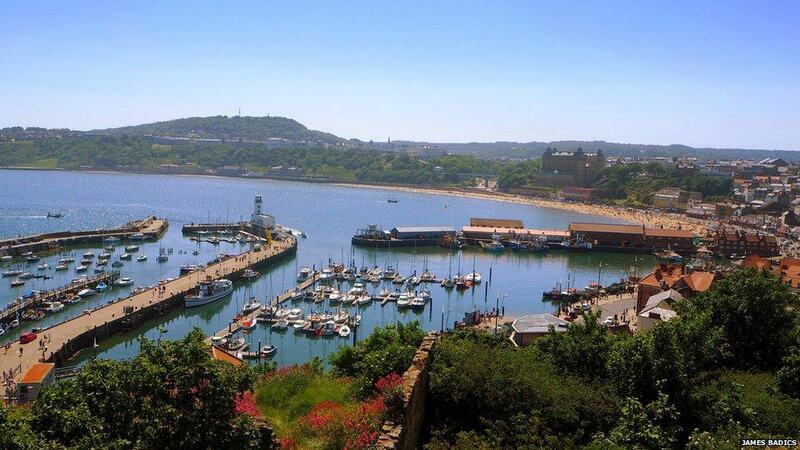 Set in a prime position for discovering all that Scarborough has to offer. 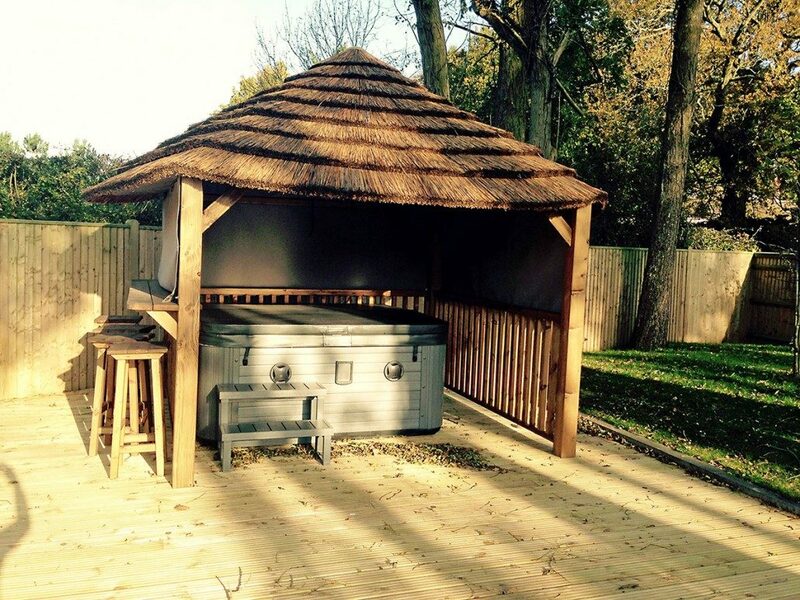 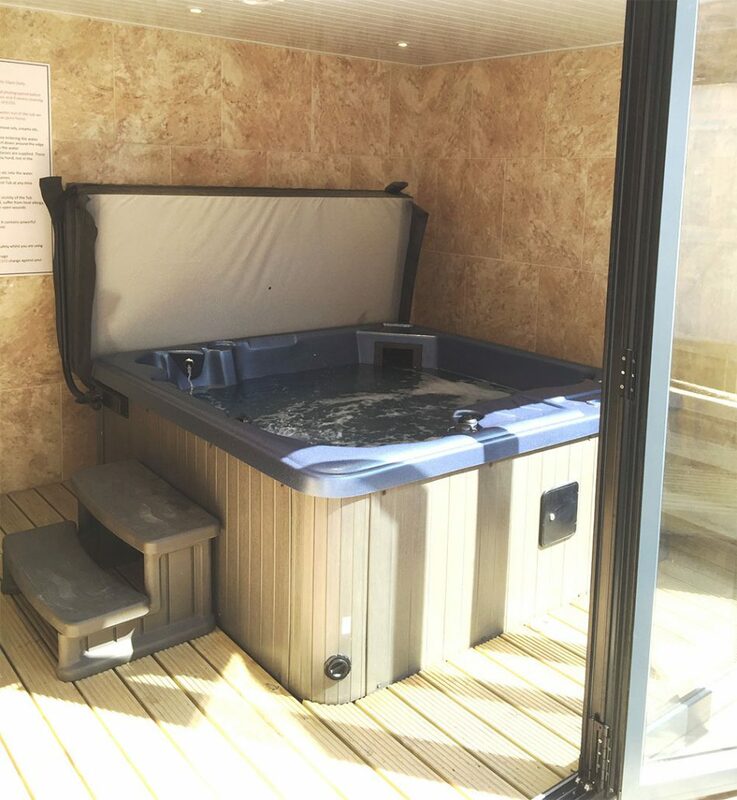 Wander along the beaches, try your luck in the arcade or simply sit back and relax in your very own private hot tub. 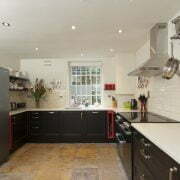 The Ravines consists of 2 adjacent Townhouses on Columbus Ravine which are situated in a prime position in Scarborough just a short walk from the north bay. 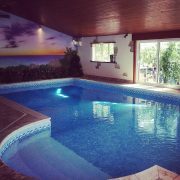 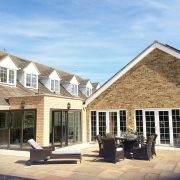 Each house has been lovingly restored by the present owners, all the bedrooms are en-suite with smart TV’s and the icing on the cake is the hot tub in the courtyard! 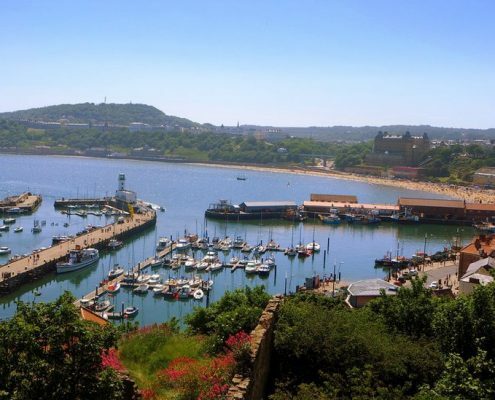 The town and shops are only 10 minutes walk away with a great indoor shopping centre and lots of boutiques, and for those who prefer the nightlife there are plenty of bars, restaurants, clubs and a casino. 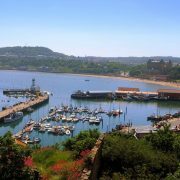 Just around the corner is the Scarborough cricket ground where the famous Scarborough Festival is held each year, an end of season competition featuring Yorkshire County Cricket Club. 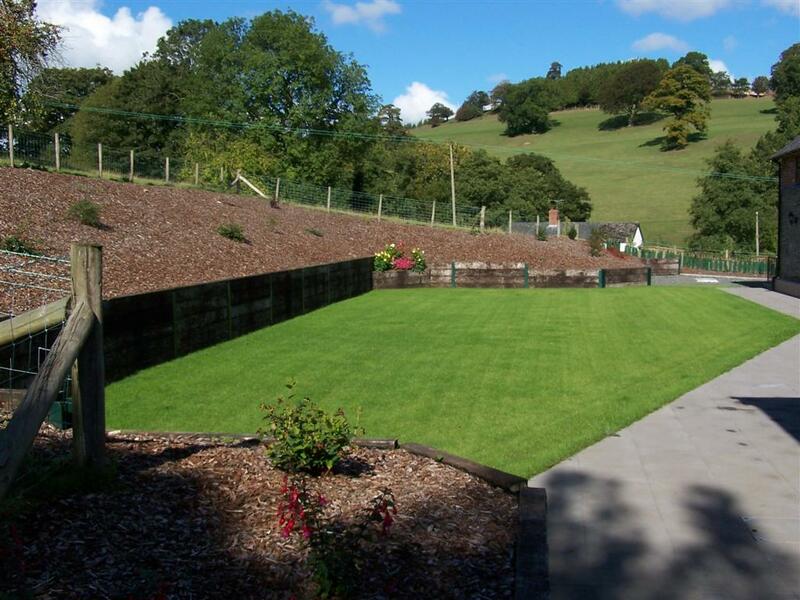 For those who love a faster sport, there’s Oliver’s Mount racing track with high powered road race bikes. 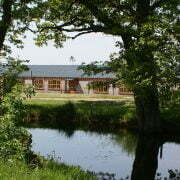 As you walk to the beach you pass one of the Peasholm Park entrances. 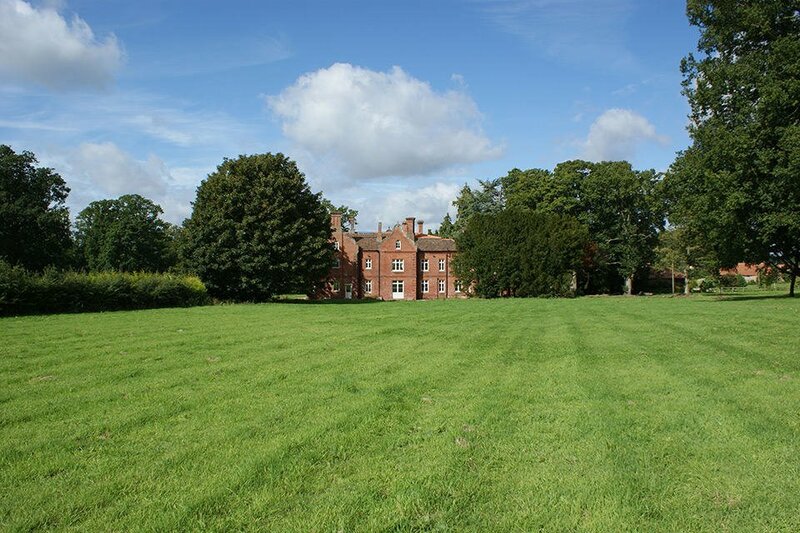 Take a detour and walk around the park with its stunning gardens, lakes and waterfalls. 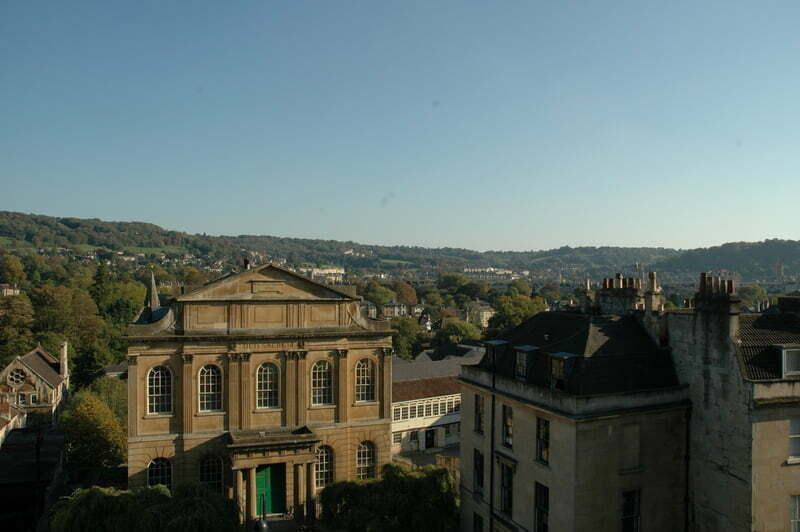 There’s boats and pedalos and, in summer, a brass band to entertain you. 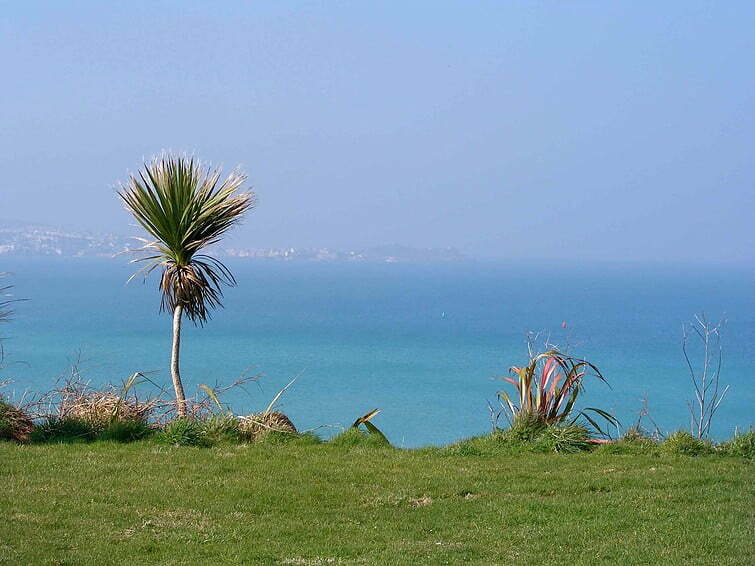 The park is famous for the Naval Warfare Battle where model ships re-enact a battle on the lake. 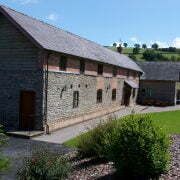 It’s great entertainment for the family and has been for the last 80 years. 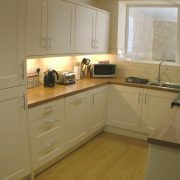 Welcome to Rutland rentals. 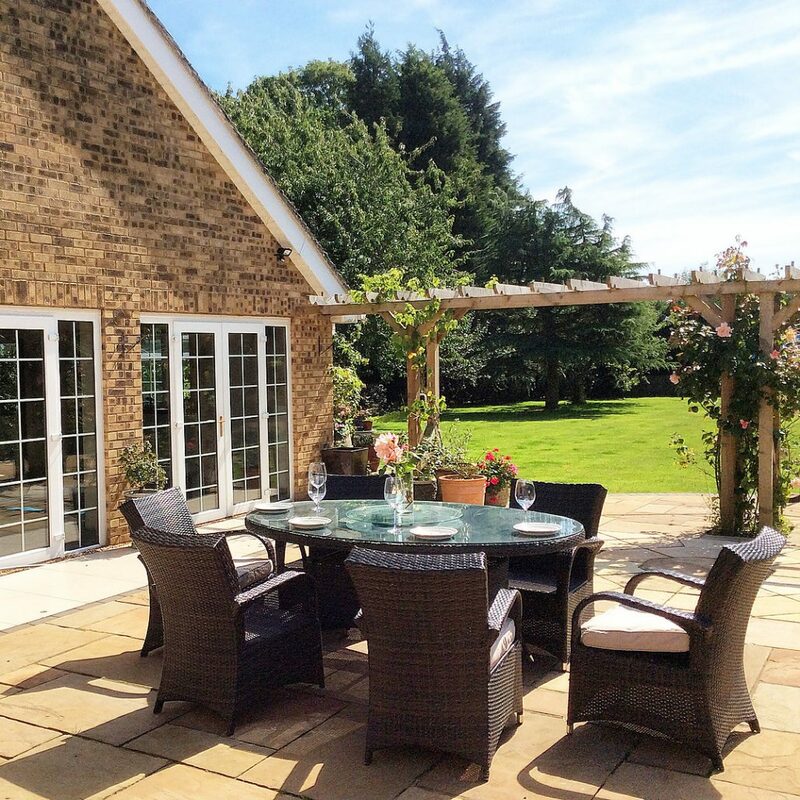 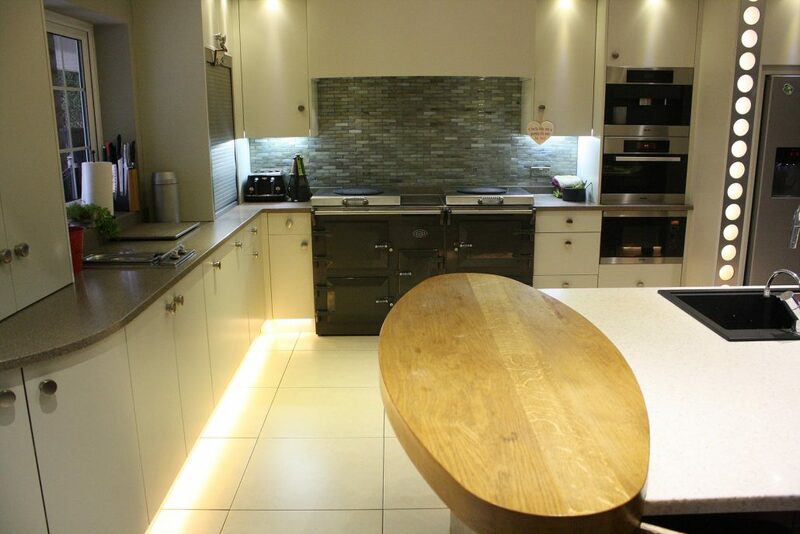 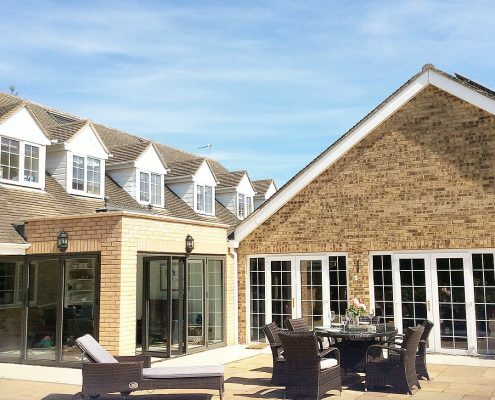 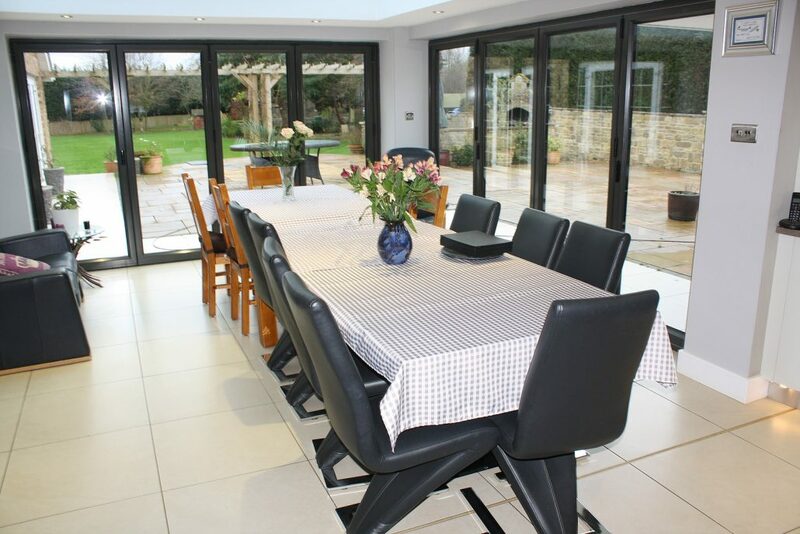 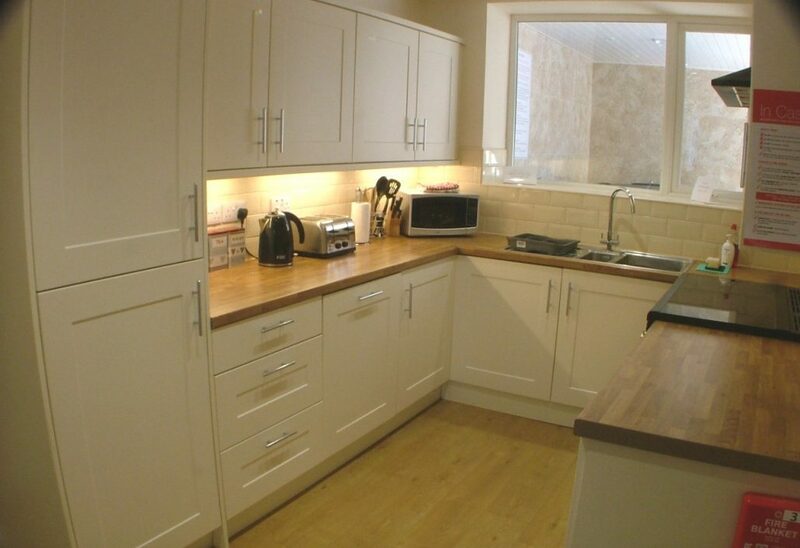 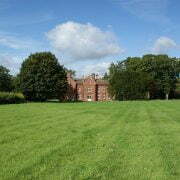 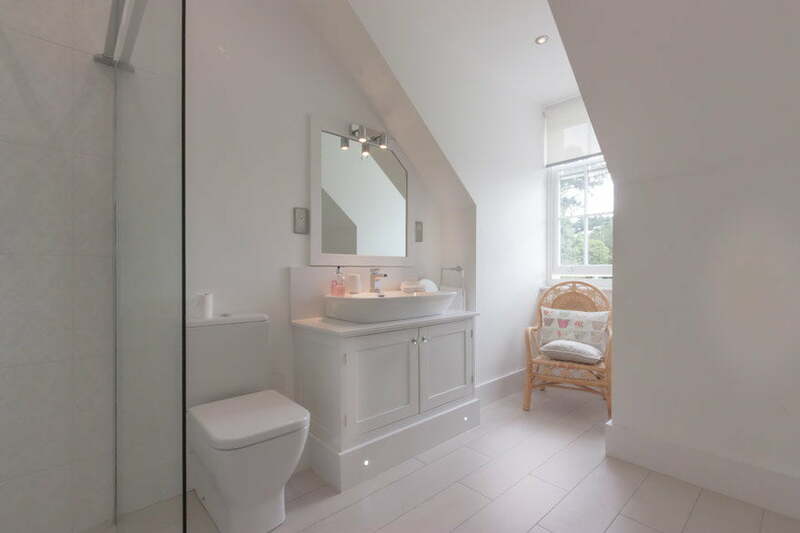 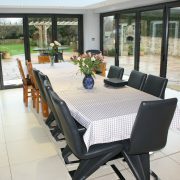 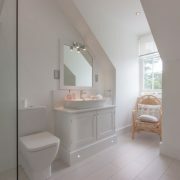 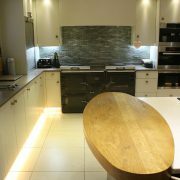 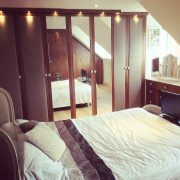 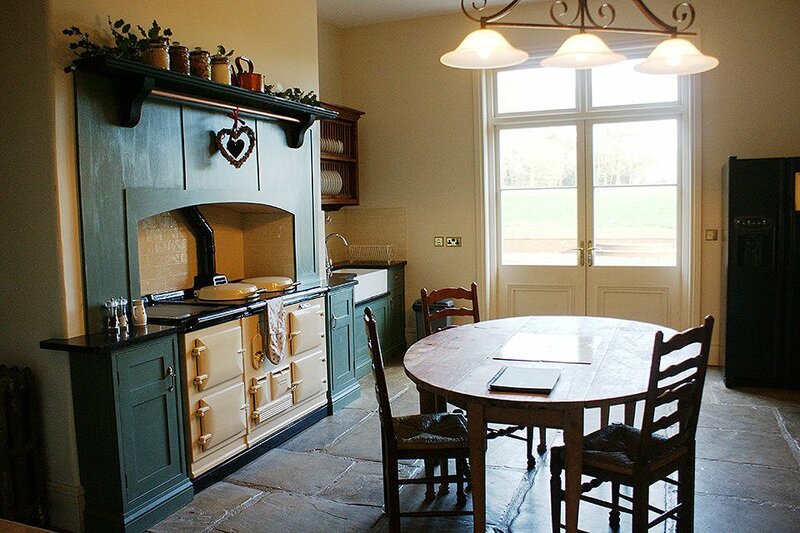 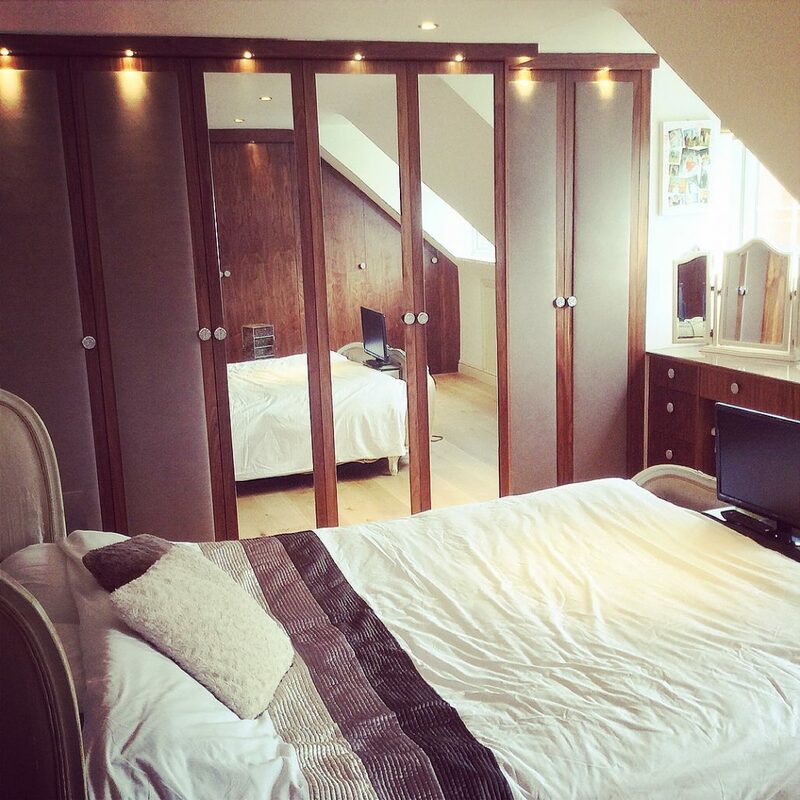 We specialise in luxury house rentals in county Rutland, East Midlands. 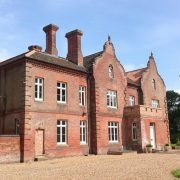 Specialising in producing bespoke packages for large groups we work closely with venues and Katie, our event manager to create a perfect weekend for your family and friends. 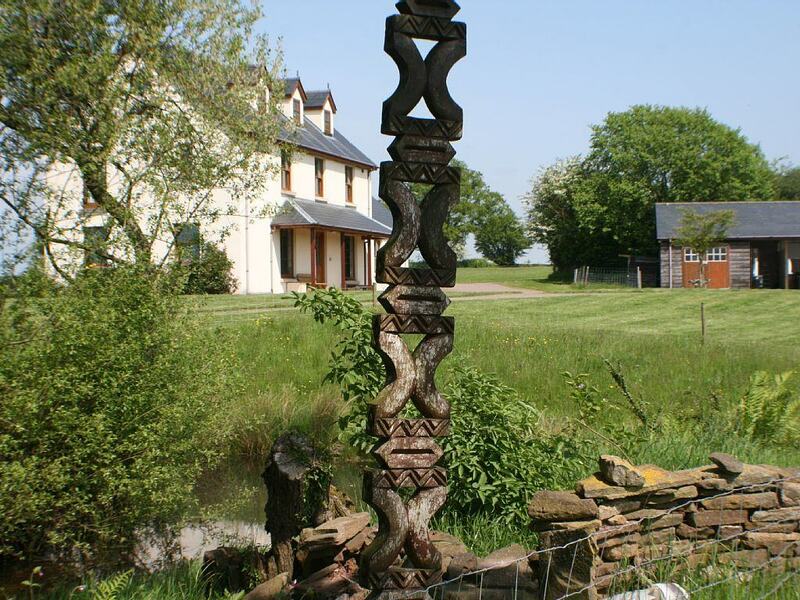 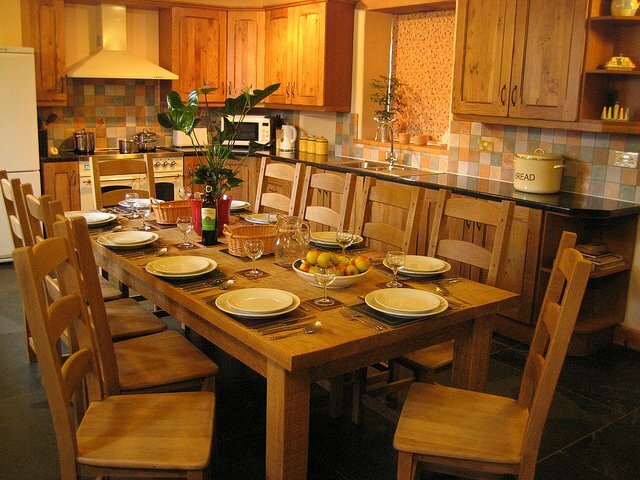 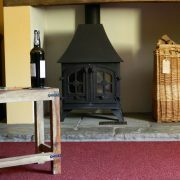 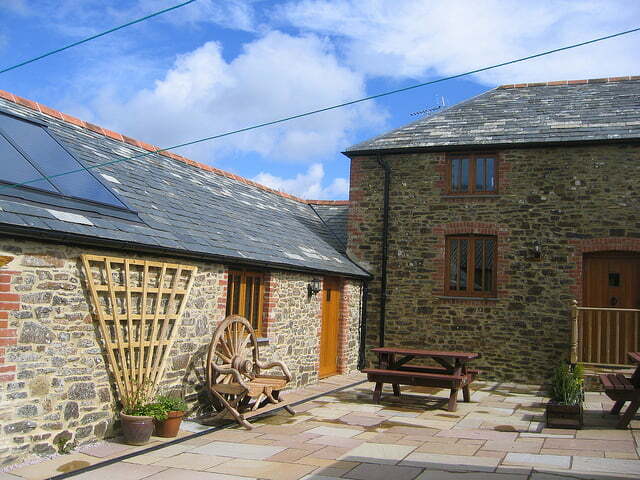 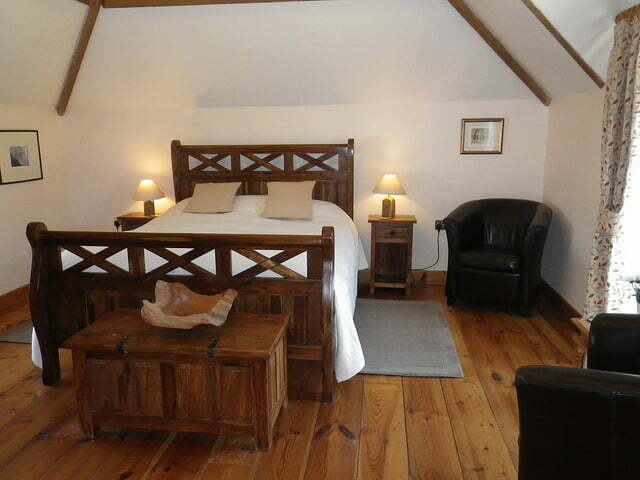 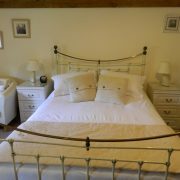 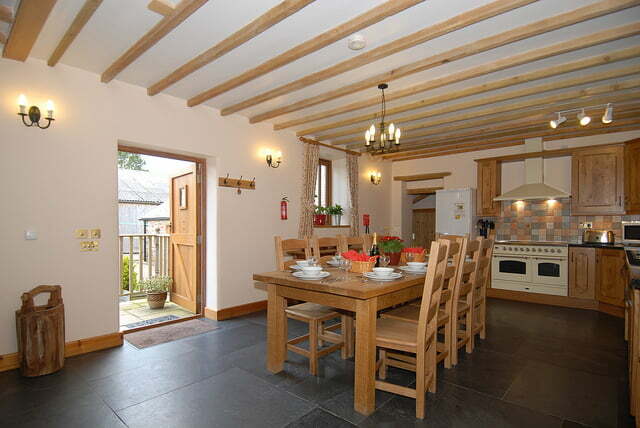 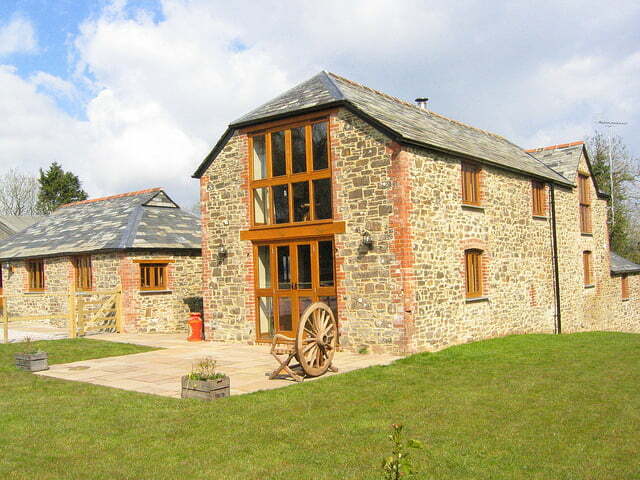 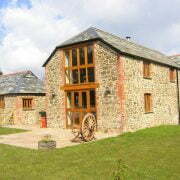 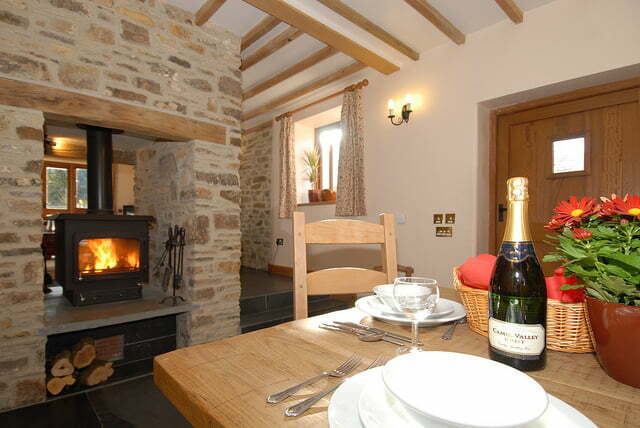 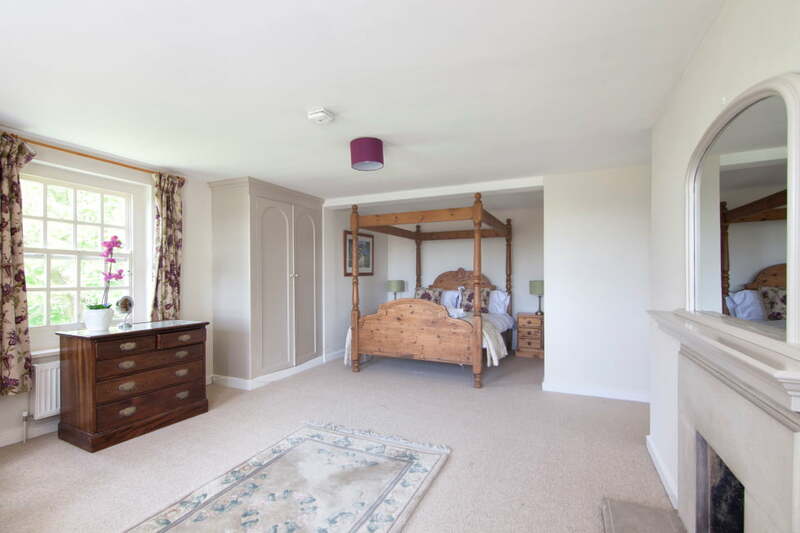 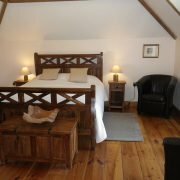 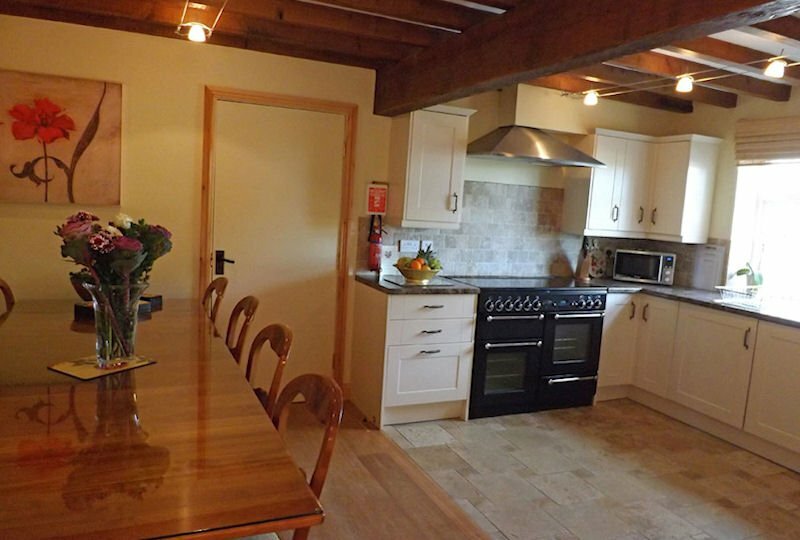 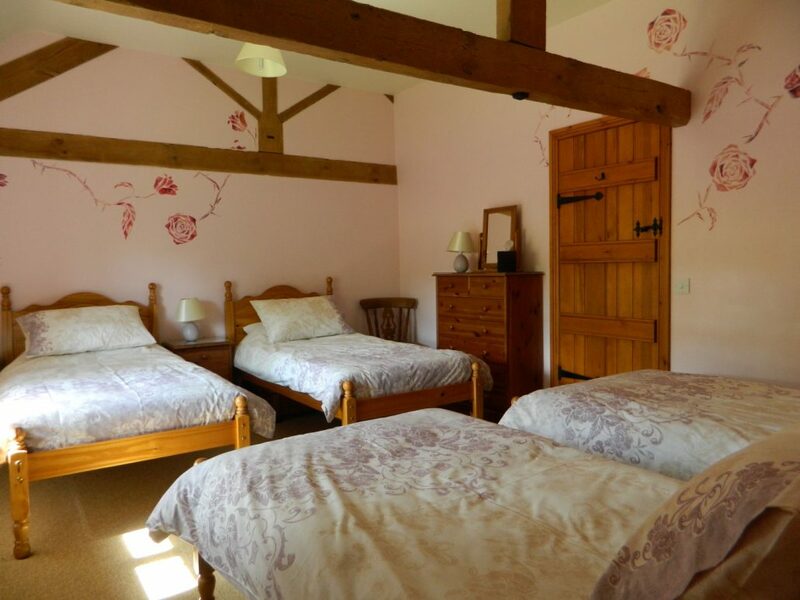 We have two properties, the Pinfold which can sleep up to 14 and Orchard house which can sleep up to 9 people. 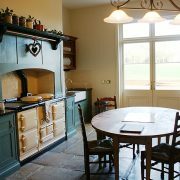 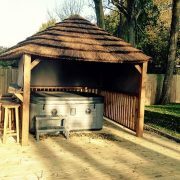 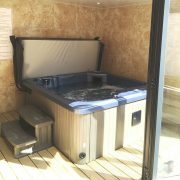 Available at both properties there is an array of activaties, from a Spa weekends to cycling round the stunning Rutland water. 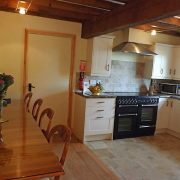 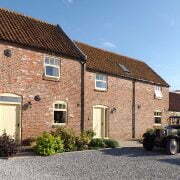 For luxury self catering holiday cottages and accommodation in Beverley, East Yorkshire join us at Broadgate Farm holiday lets. 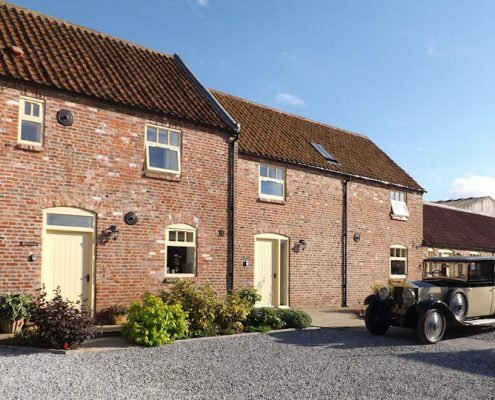 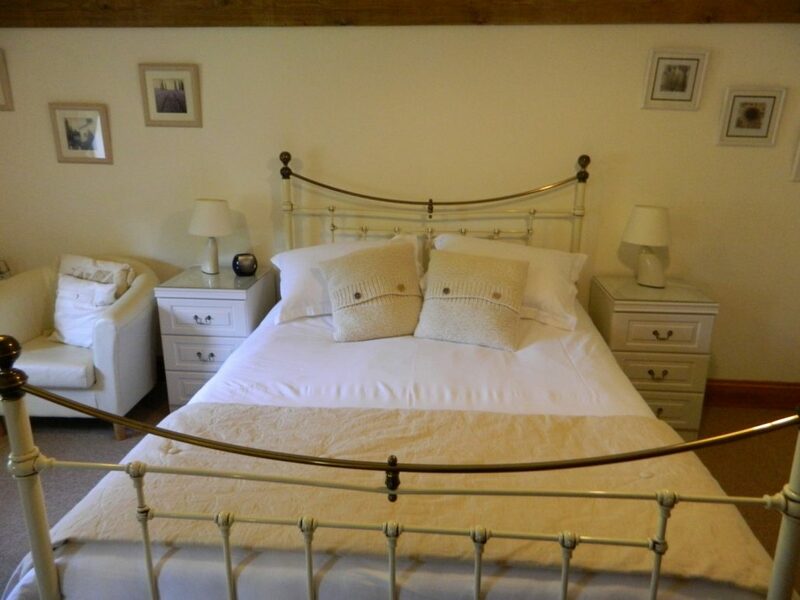 Farm cottages set in the Yorkshire Wolds in glorious Yorkshire only two miles from the market town of Beverley and minutes from Beverley Westwood each holiday cottage has been converted from charming period farm buildings. 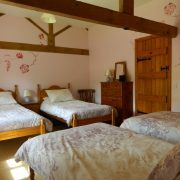 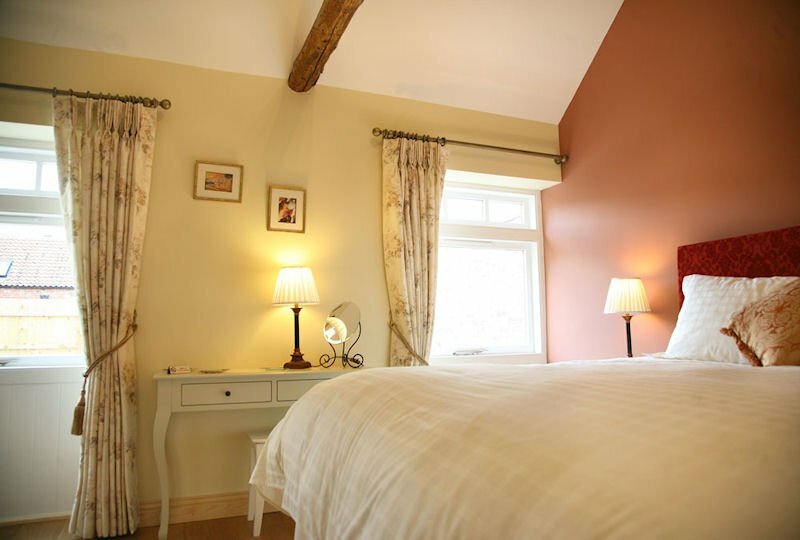 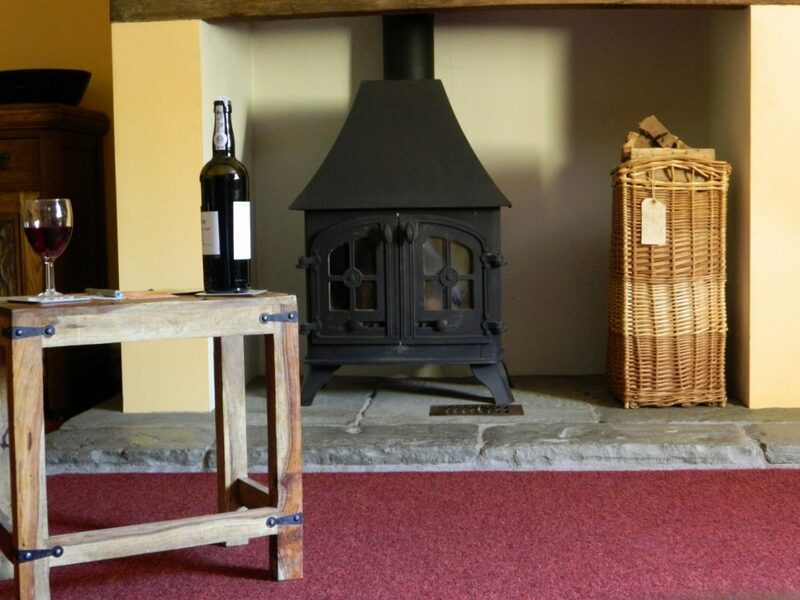 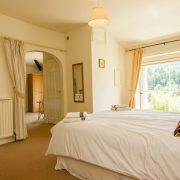 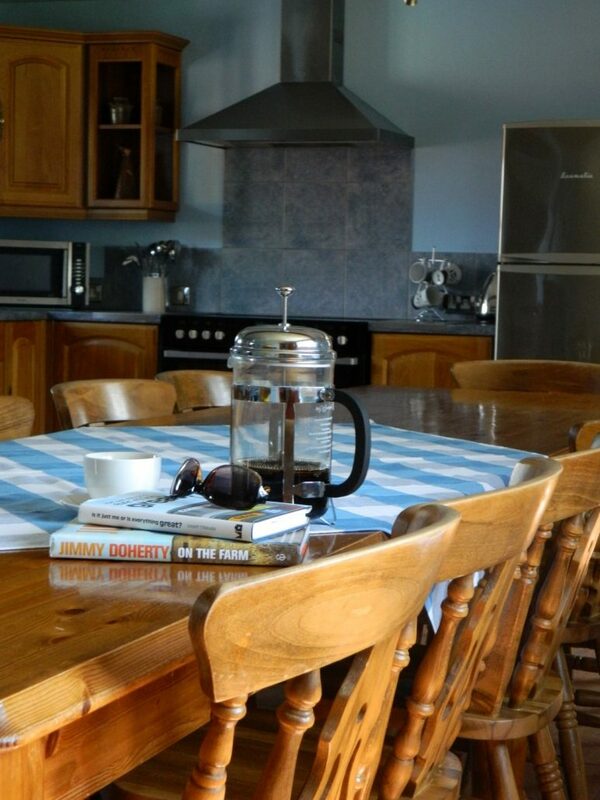 Our self catering holiday cottages each sleep from 4 to 9 and two of our holiday cottages link to sleep 12 in 6 bedrooms each with toasty eco-friendly central heating. 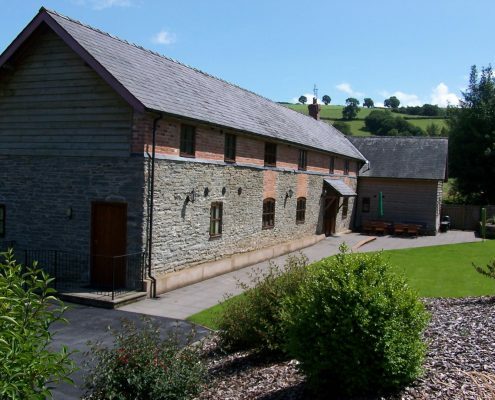 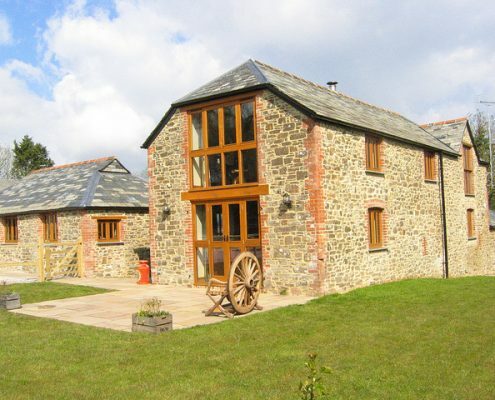 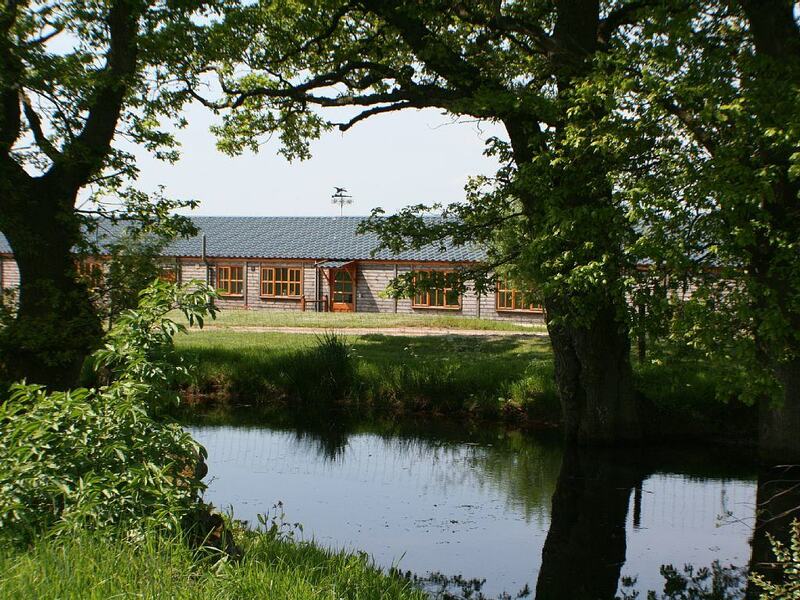 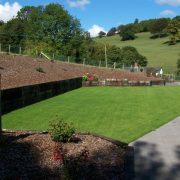 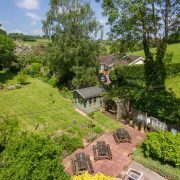 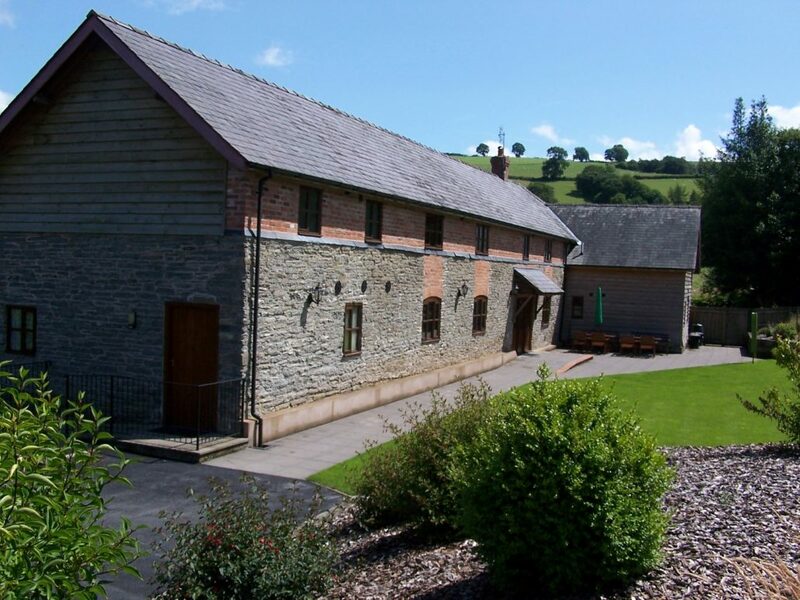 All cottages have their own private garden/patio area and the farmstead is set in 19 acres of grass & woodland with lovely views across the fields. 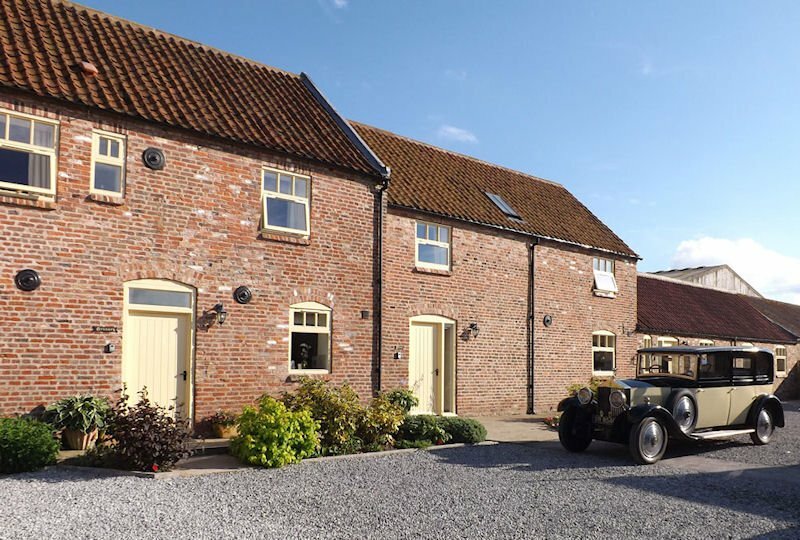 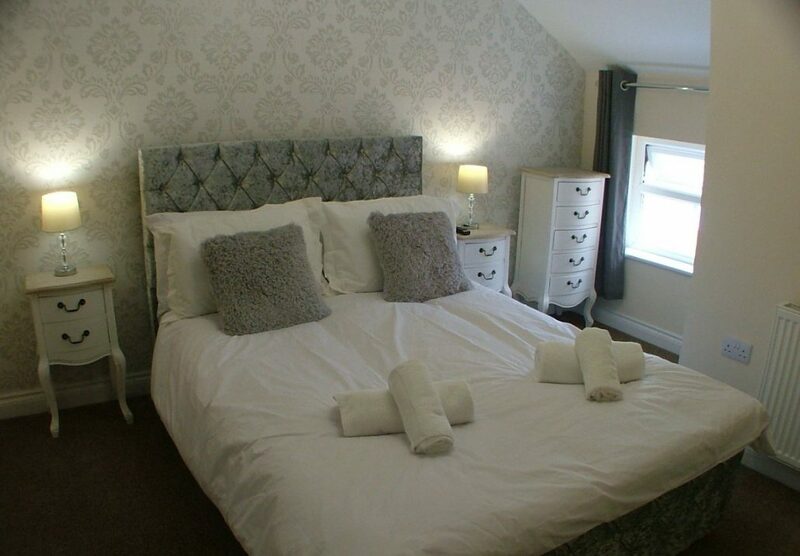 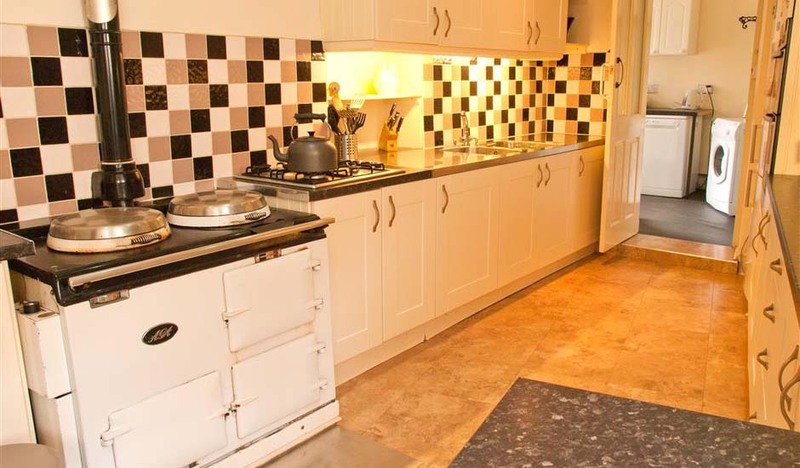 All our holiday lets have been individually designed and finished to a very high standard, Broadgate Farm Holiday Cottages provide high quality accommodation in Beverley for the leisure or business visitor. 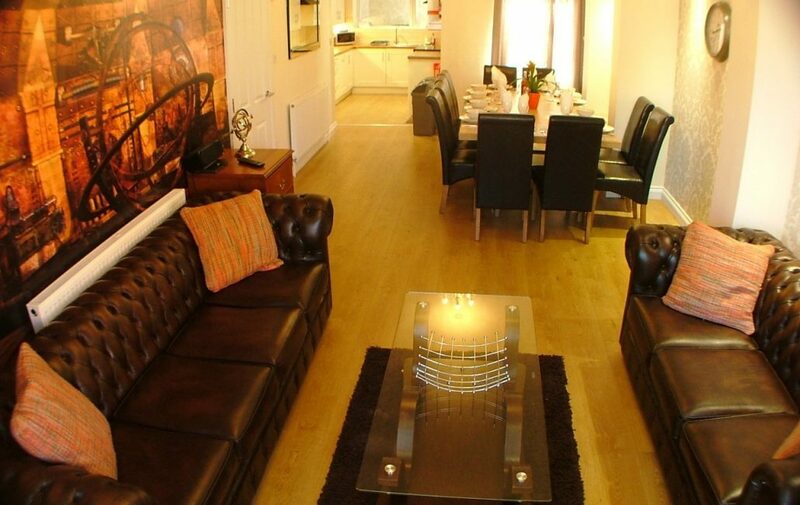 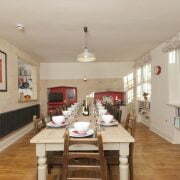 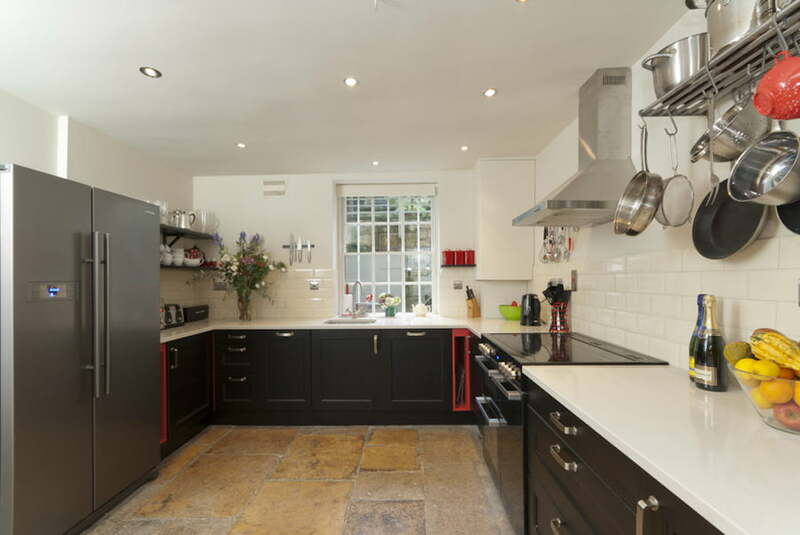 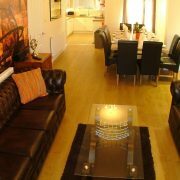 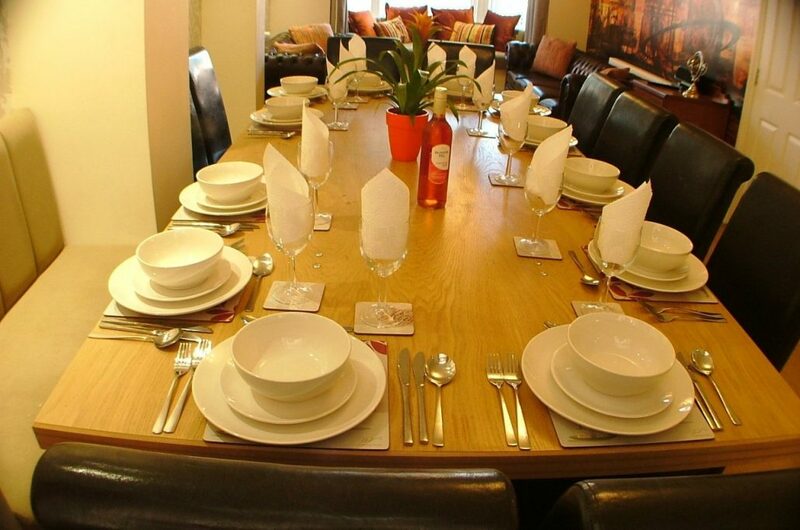 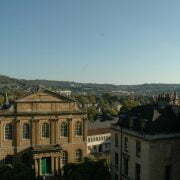 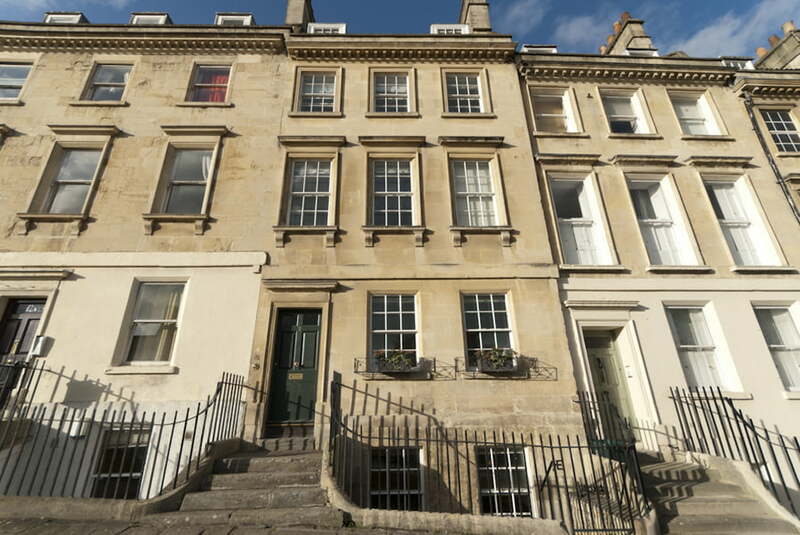 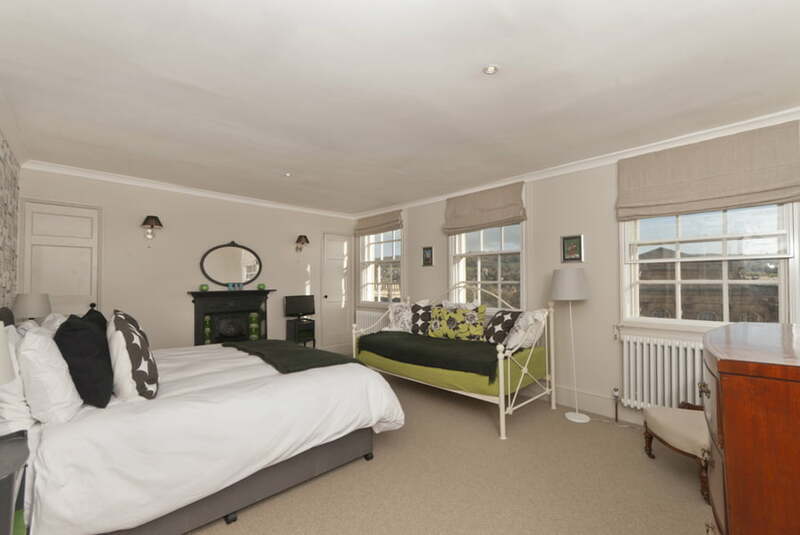 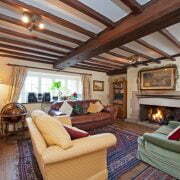 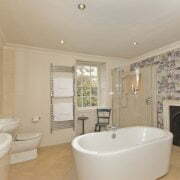 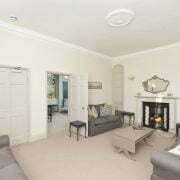 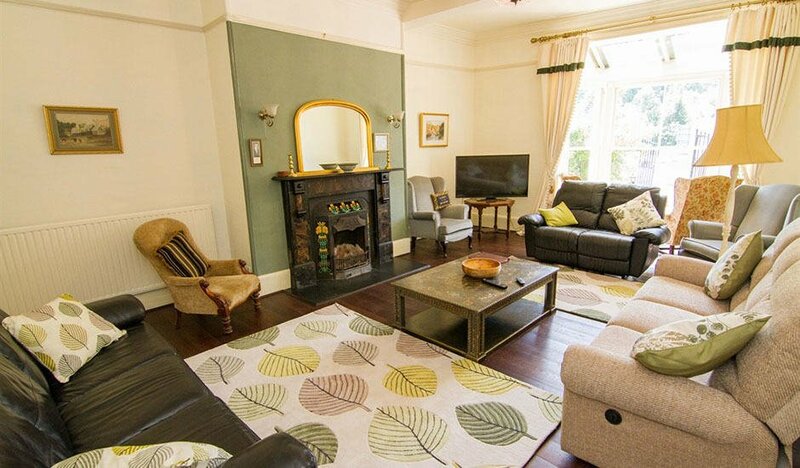 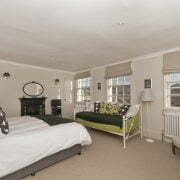 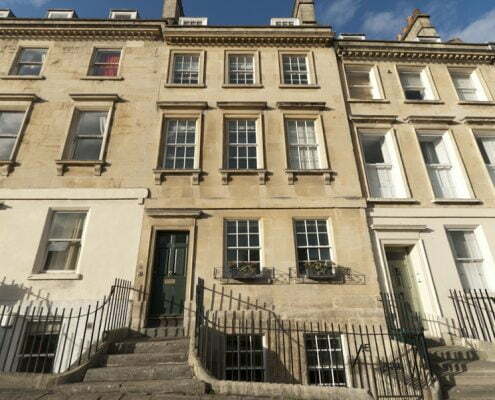 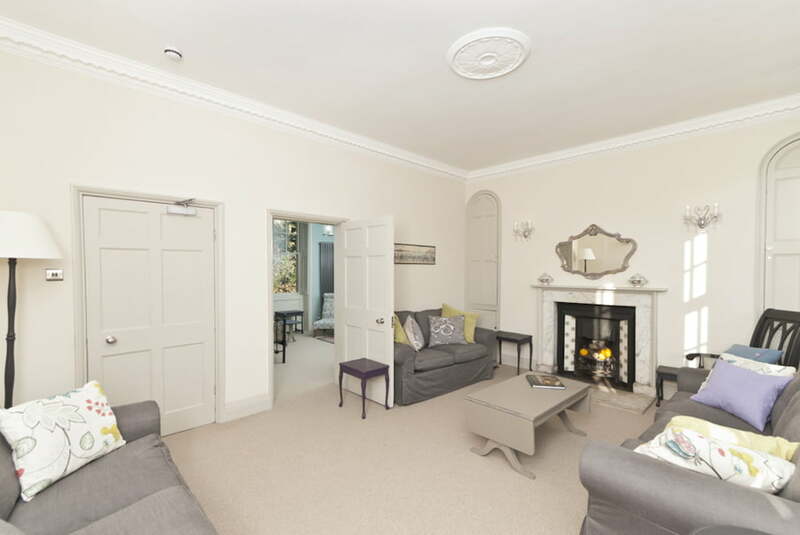 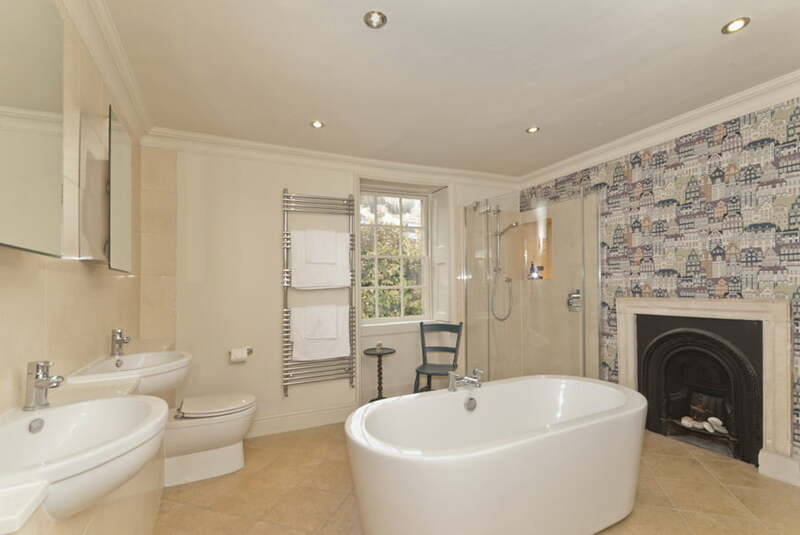 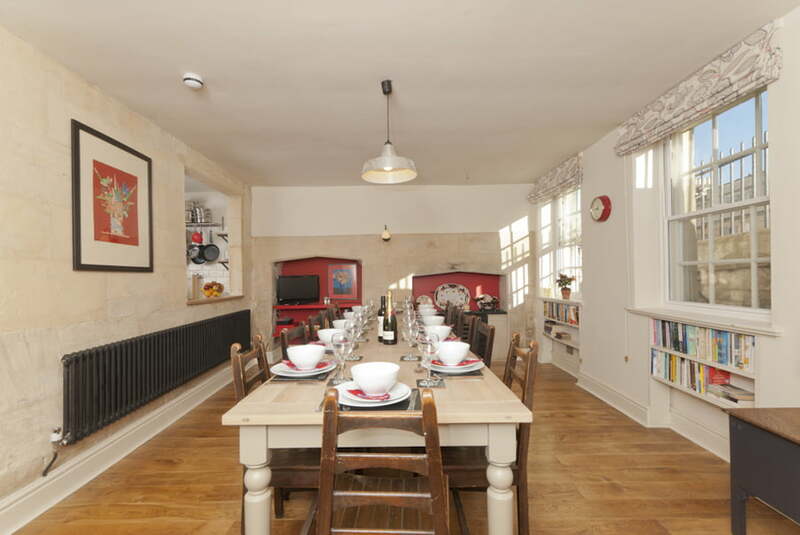 Rennie House is a Grade Two listed, luxury 7 bedroom, self catering, holiday house in Bath. 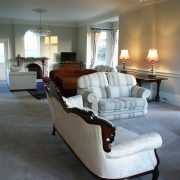 The house retains many of the original Georgian architectural features combined with contemporary comfort, style and safety. 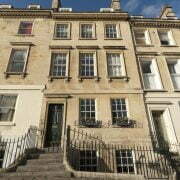 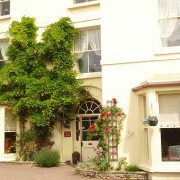 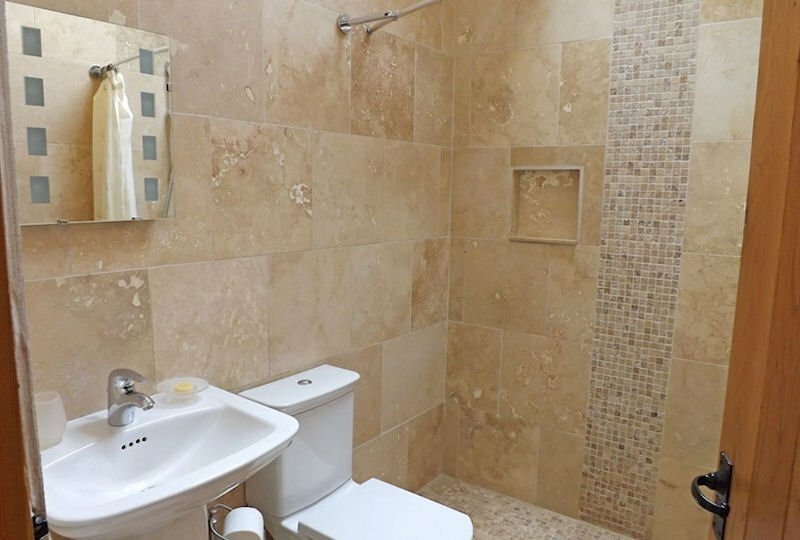 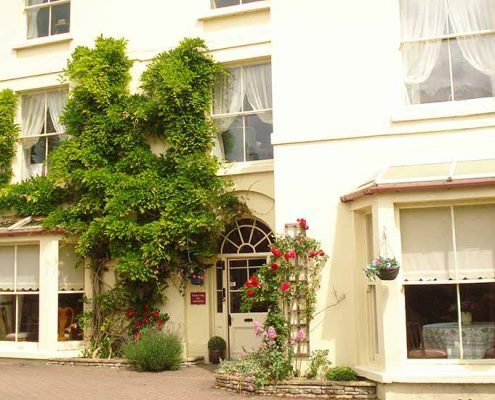 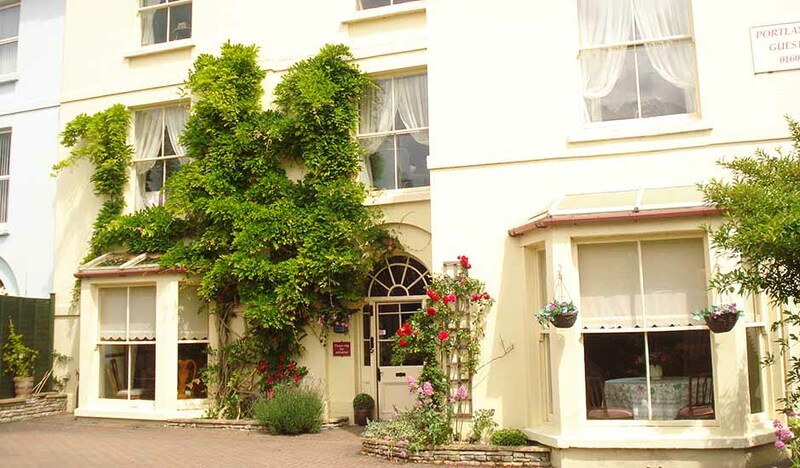 Rennie House is perfectly situated a few minutes walk from the city centre, the Roman Baths and the new Thermae Spa. 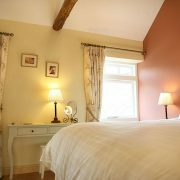 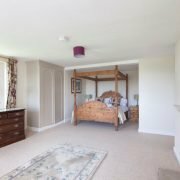 Big enough to sleep the largest of families but equally cosy and welcoming; Tapnell Manor has recently undergone a major refurbishment bringing the interior into the 21st century while maintaining the rustic appeal of an old farmhouse. 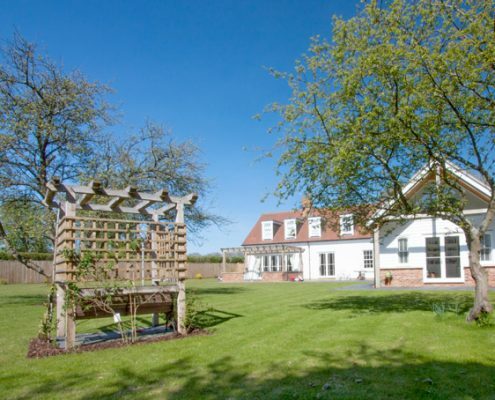 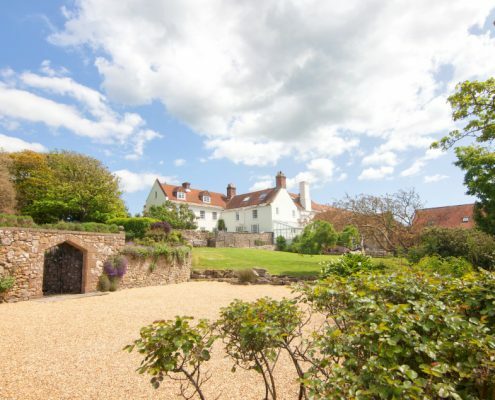 Set between two working farms, with views to Tennyson Down and the Solent you will find yourself surrounded by natural beauty and breathtaking views. 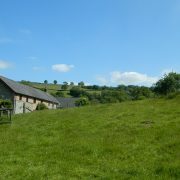 Hidden in the north west corner of Devon, close to the Cornwall border and fabulous beaches, our traditional Victorian farm buildings have been converted into one large luxury eco cottage and wildlife/games room – escape busy everyday life, explore the countryside and get closer to wildlife at the heart of the Beer Mill conservation project. 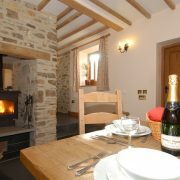 Ideal for family holidays, celebrations and great escapes all year round.